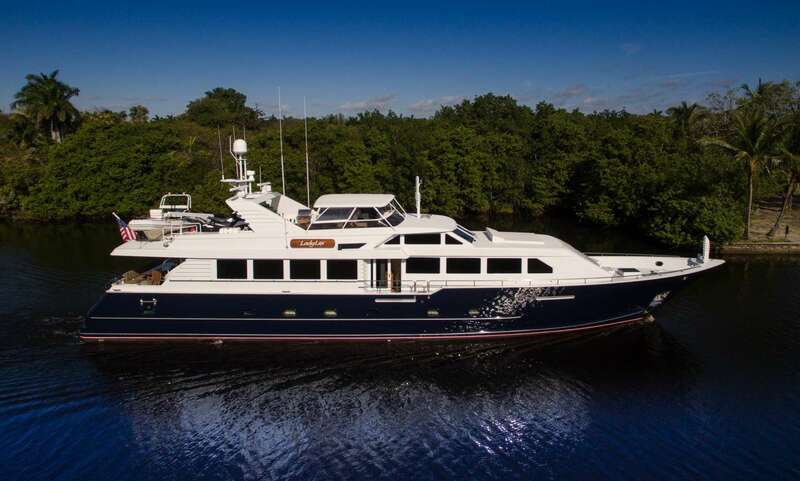 Motor yacht LADY LEX (Ex No Vacancy, Won By Land) was built by Broward and launched in 1999 and refitted in 2007. 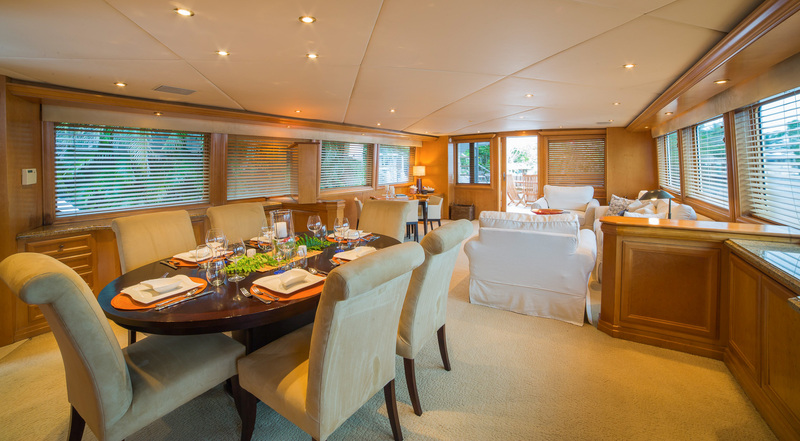 She measures 30,48 meters (100ft) and accommodates up to 8 guests in 4 cabins. 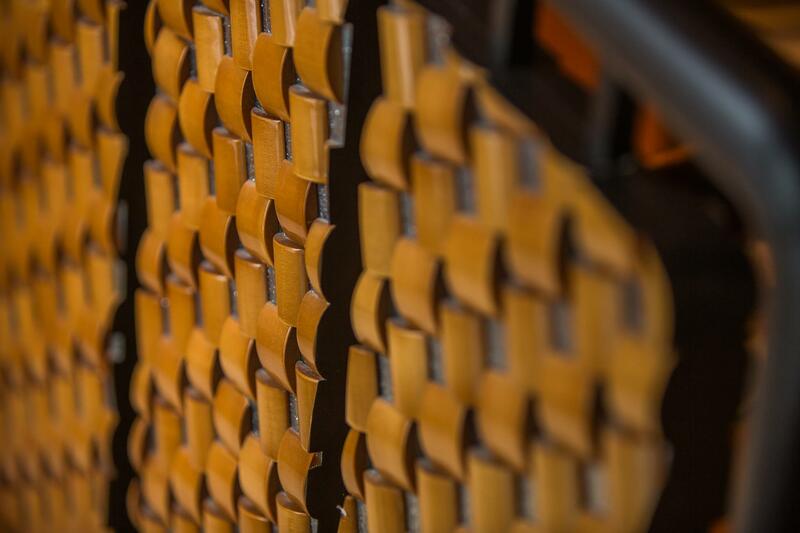 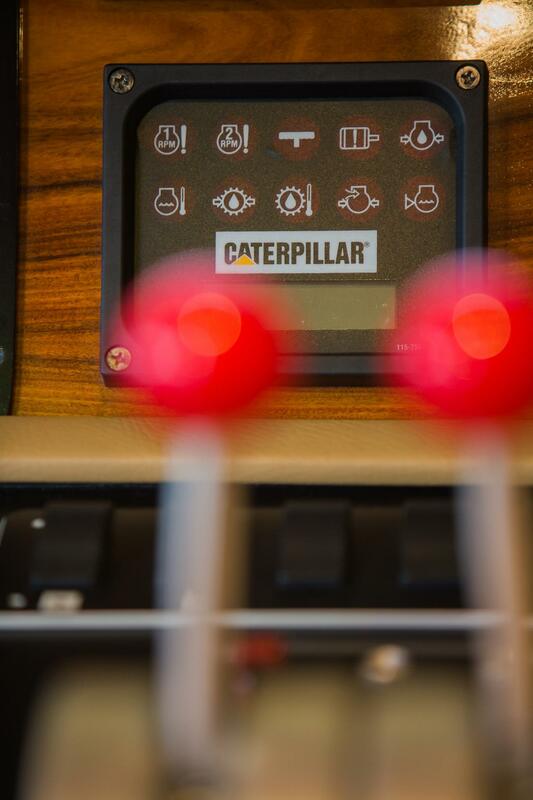 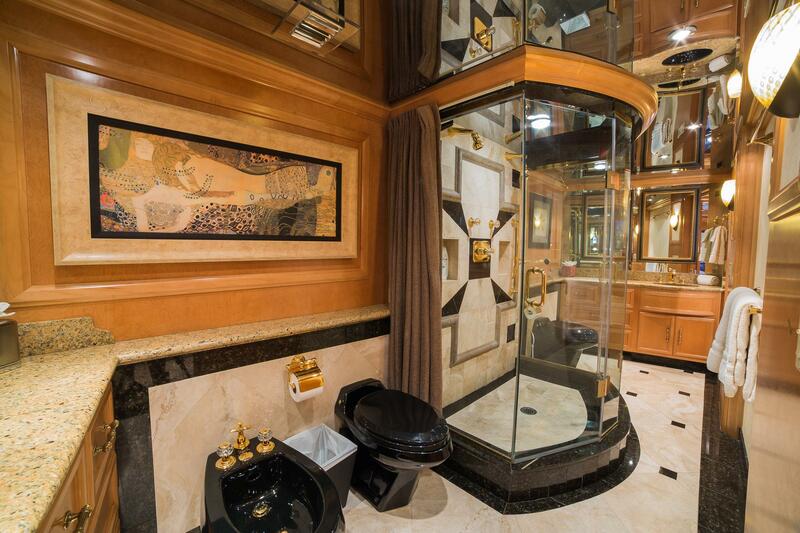 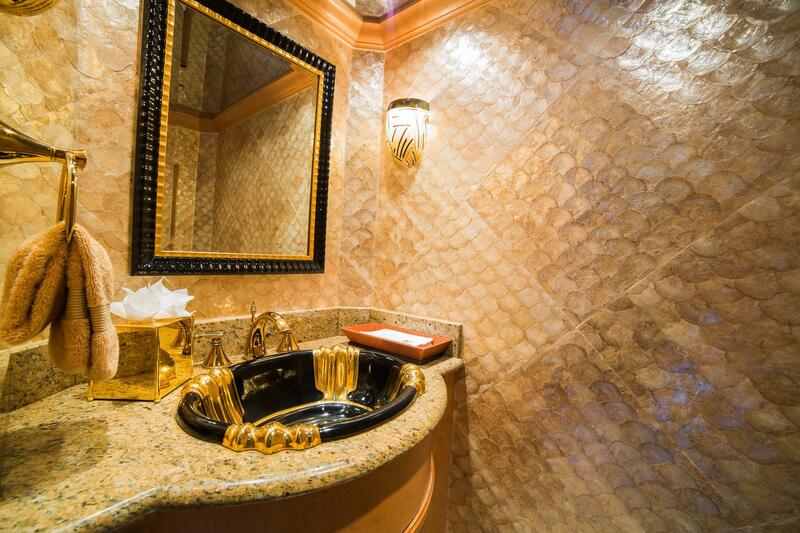 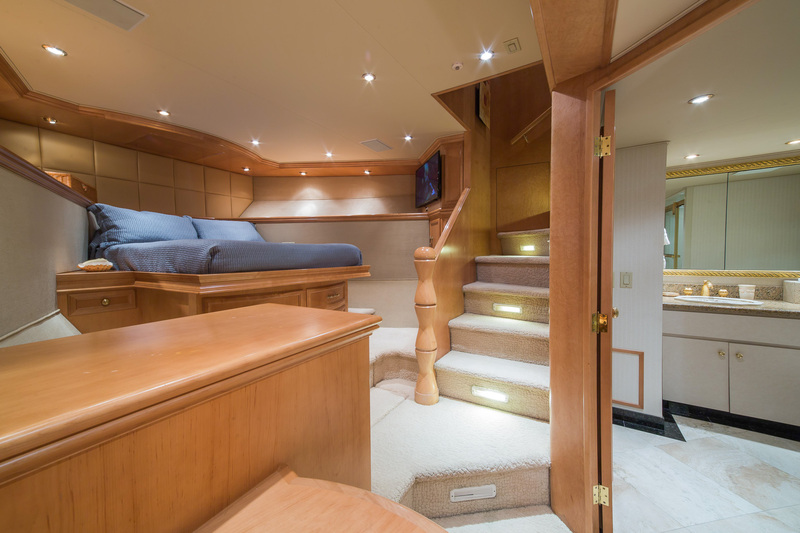 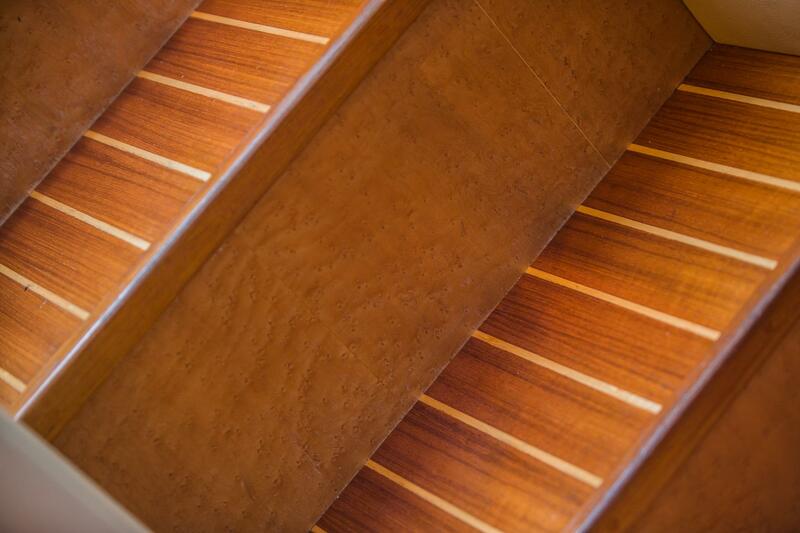 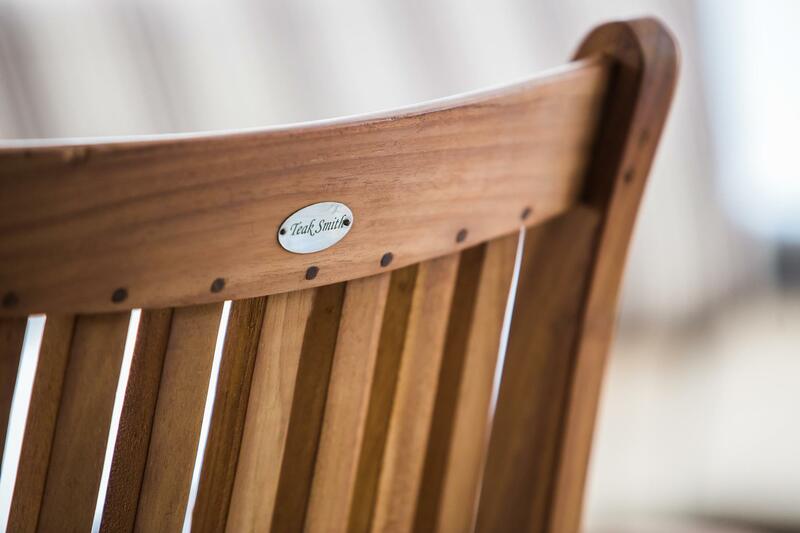 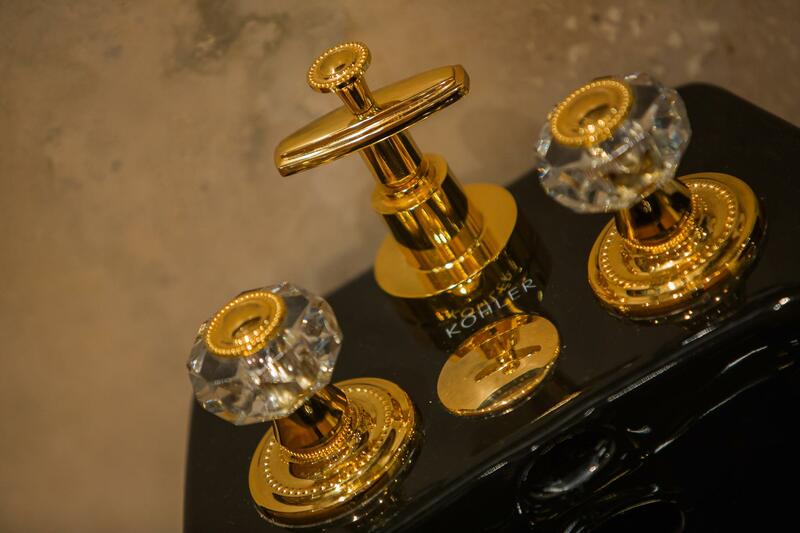 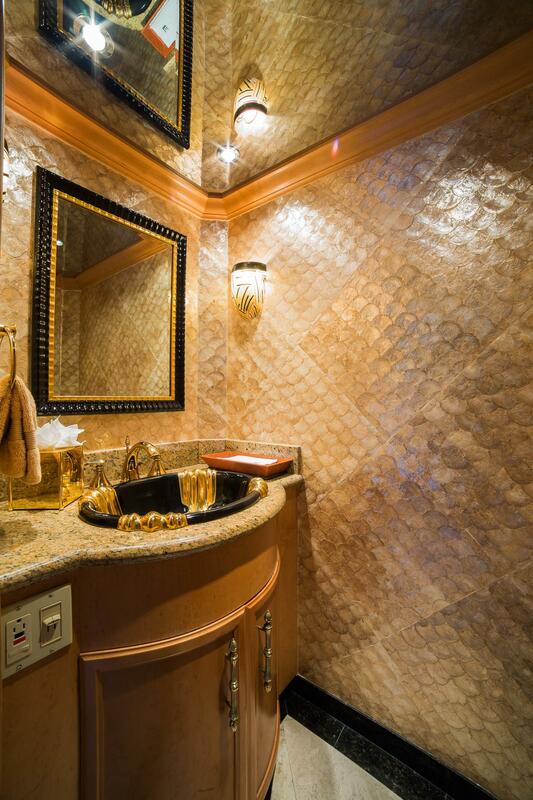 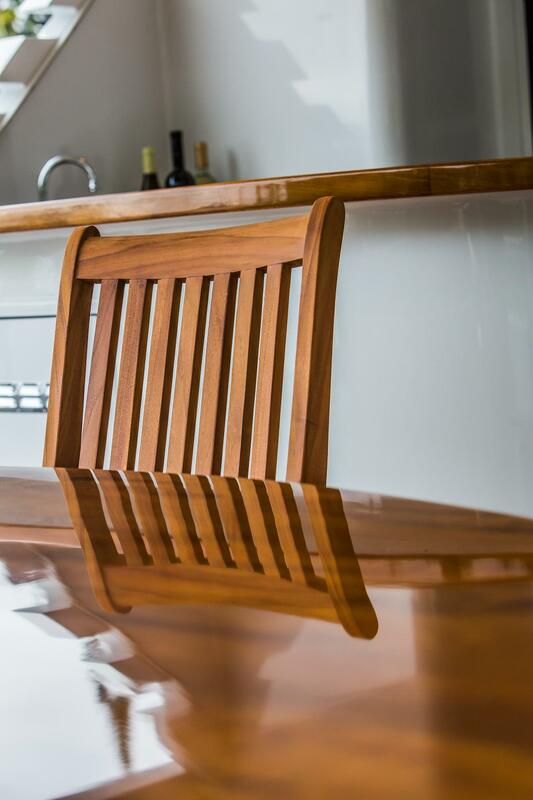 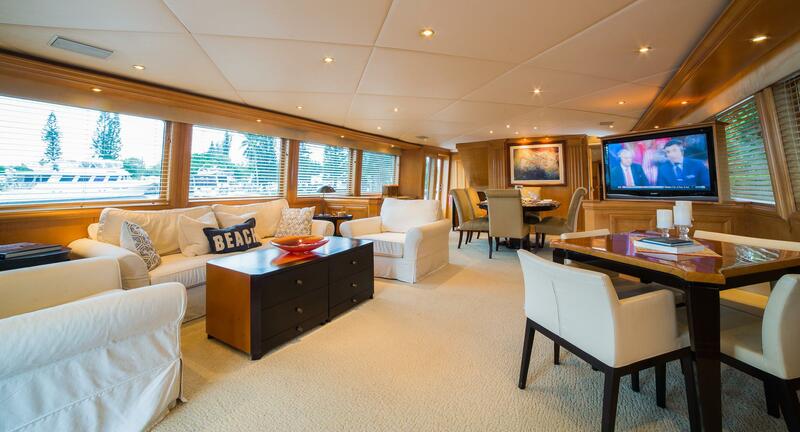 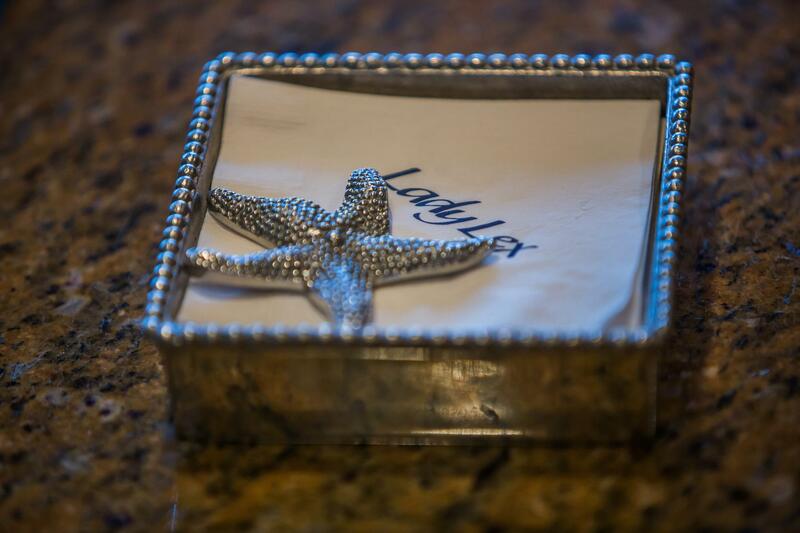 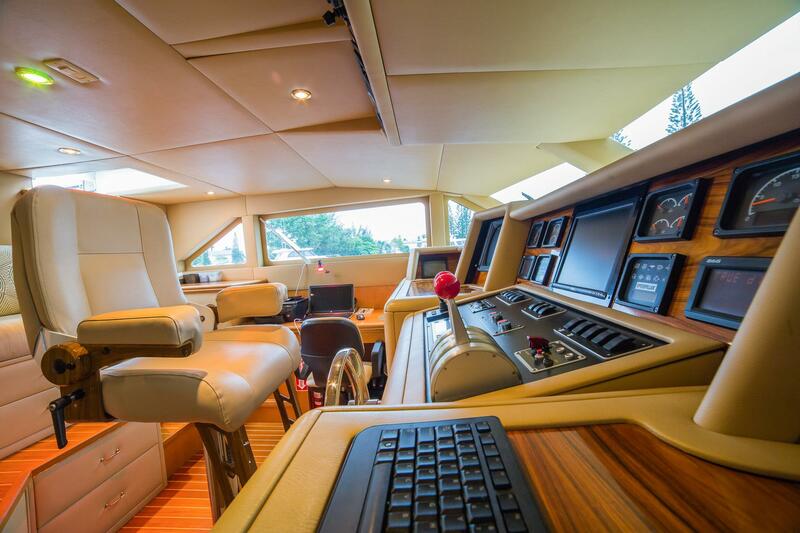 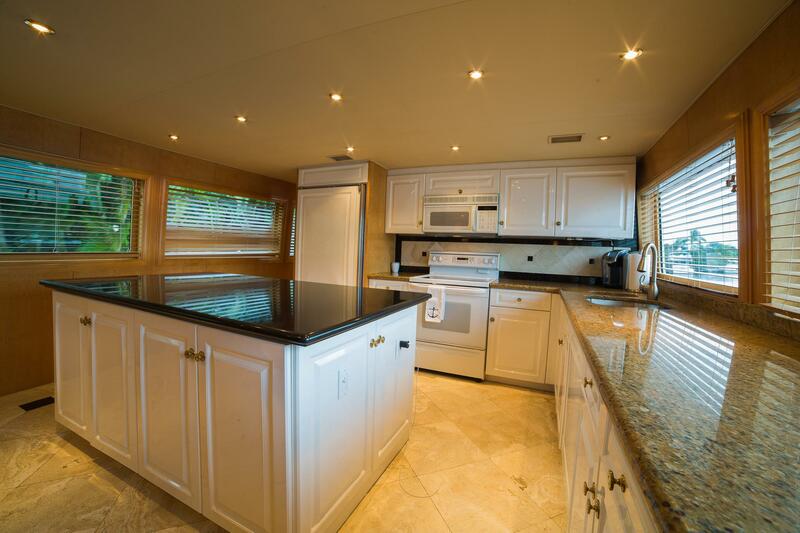 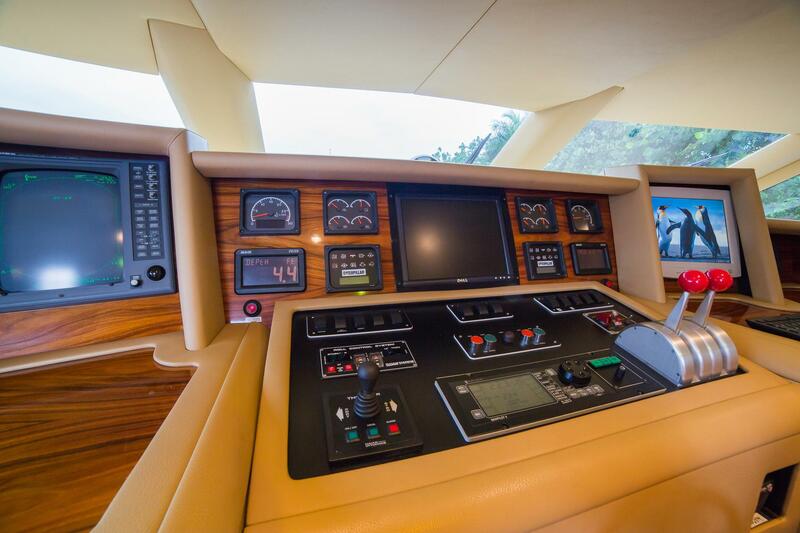 LADY LEX has a well-appointed spacious interior featuring custom maple joinery through-out. 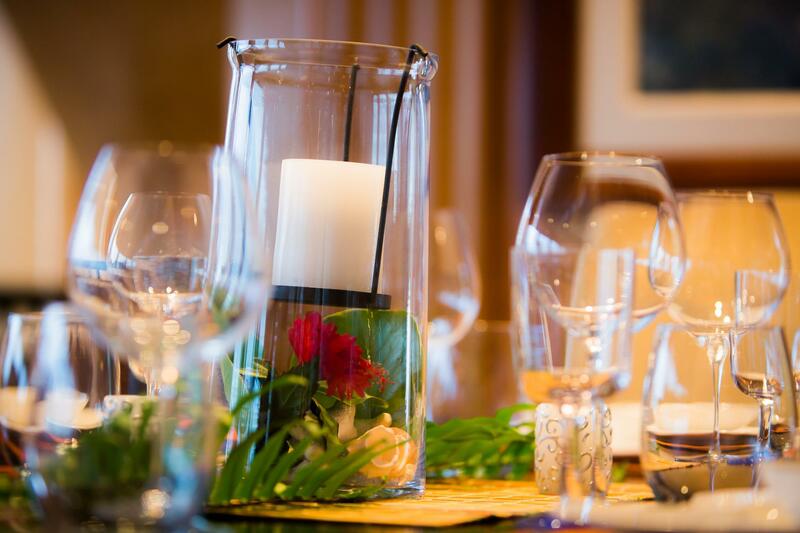 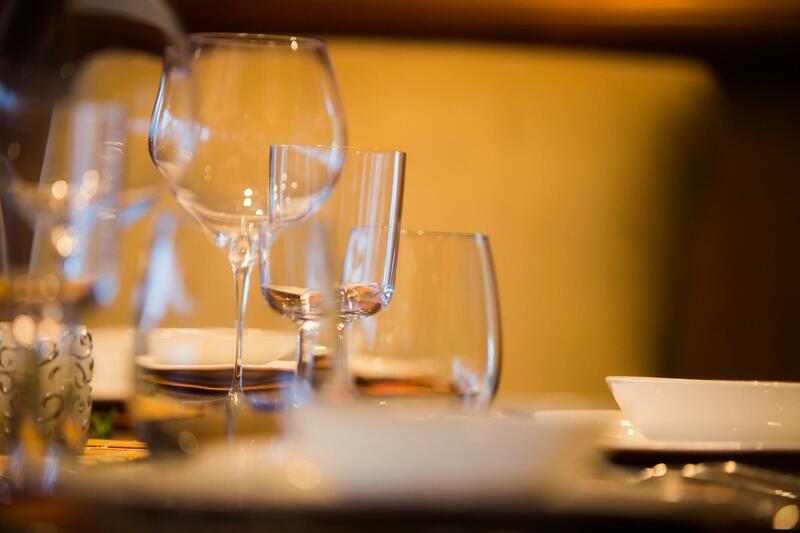 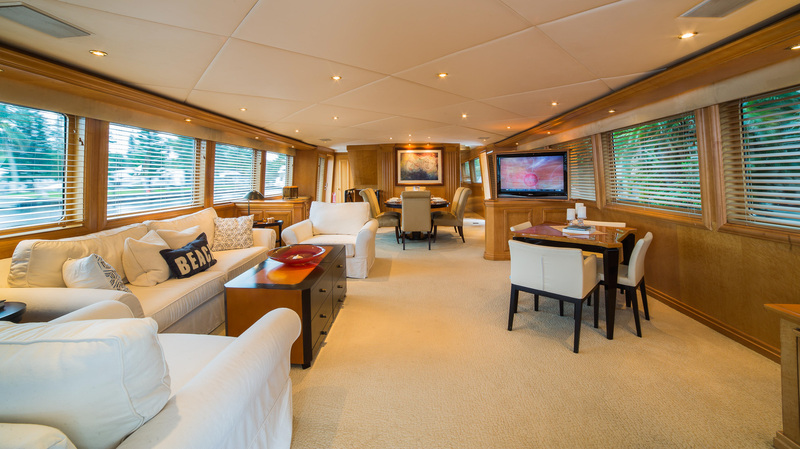 The salon and dining are an open plan, aft the salon offers a large sofa, occasional comfortable chairs, two coffee tables and a games/cocktail table; forward the formal dining space is adorned with a lovely dark wood table and high back seating. 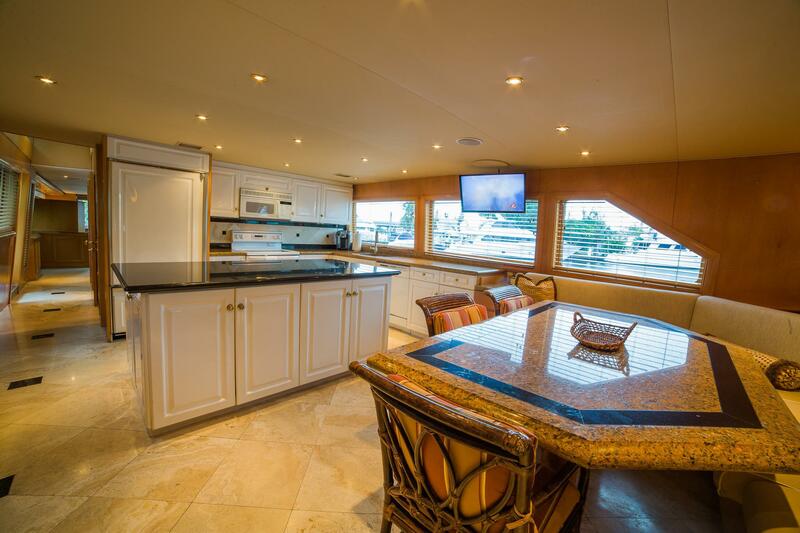 A cleverly designed swiveling flat screen TV allows viewing from both the salon and dining space. 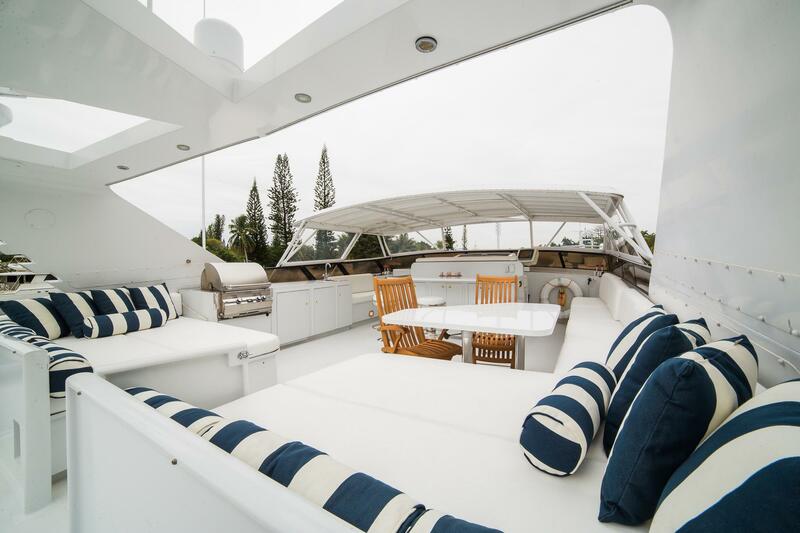 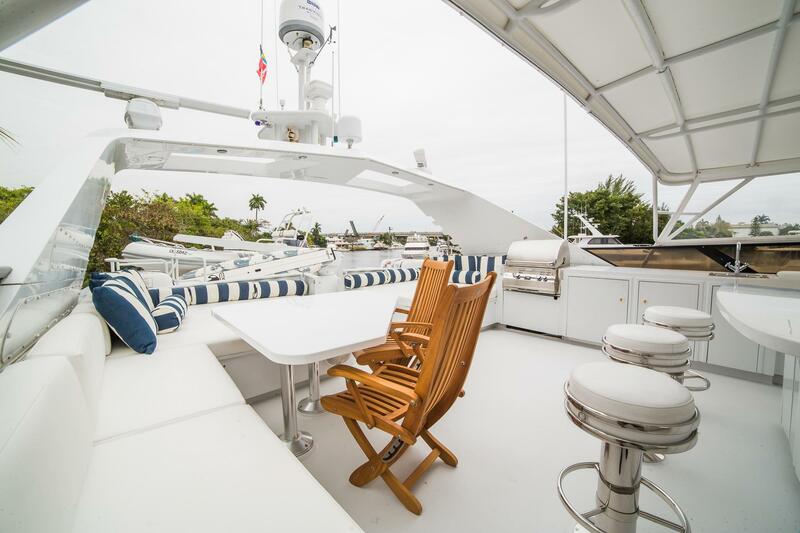 LADY LEX has plenty of exterior living areas to relax and enjoy, the aft deck is spacious and offers alfresco dining and wet bar, further aft the large swim platform makes water activities readily available. 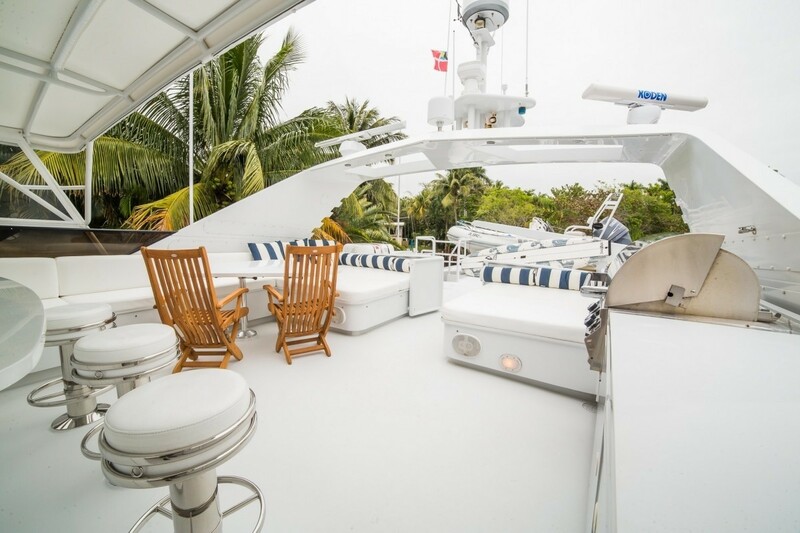 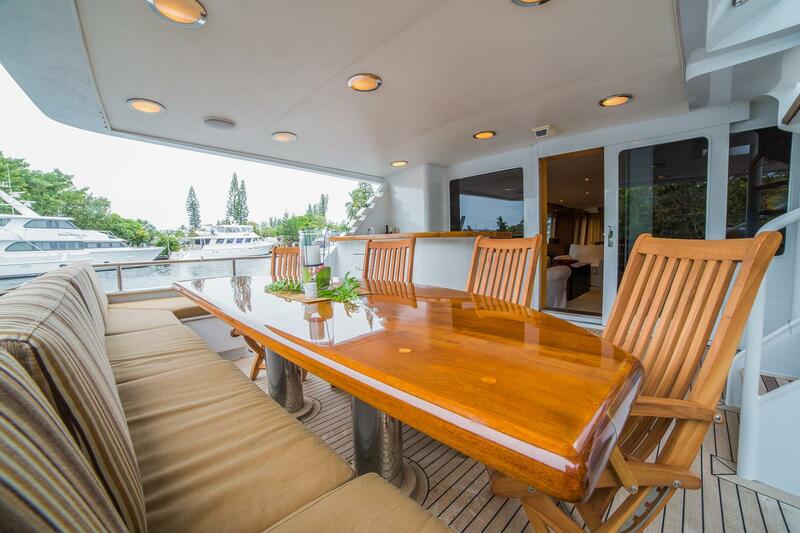 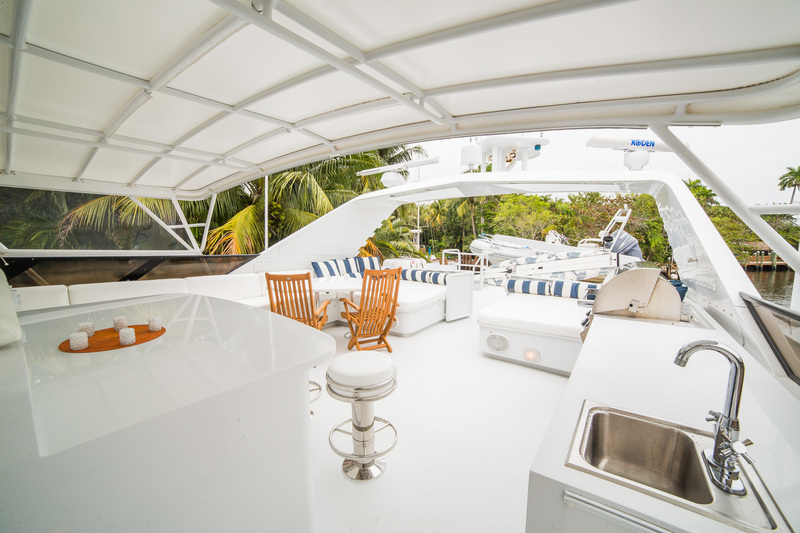 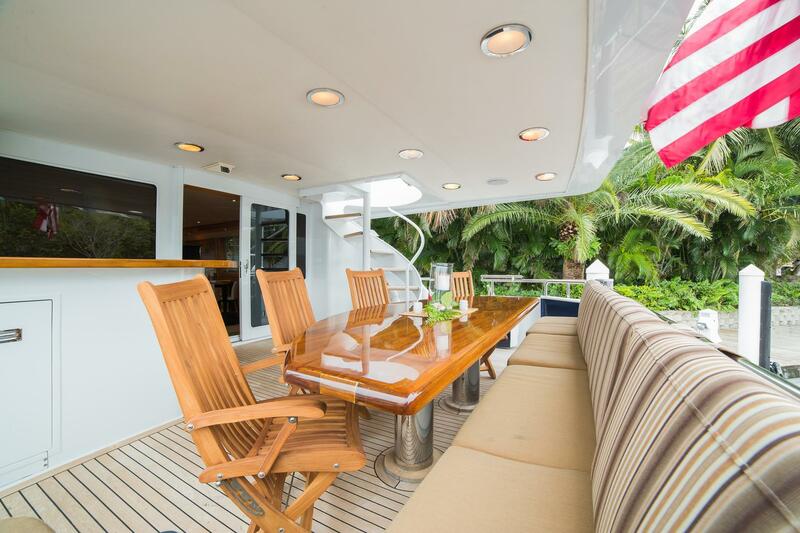 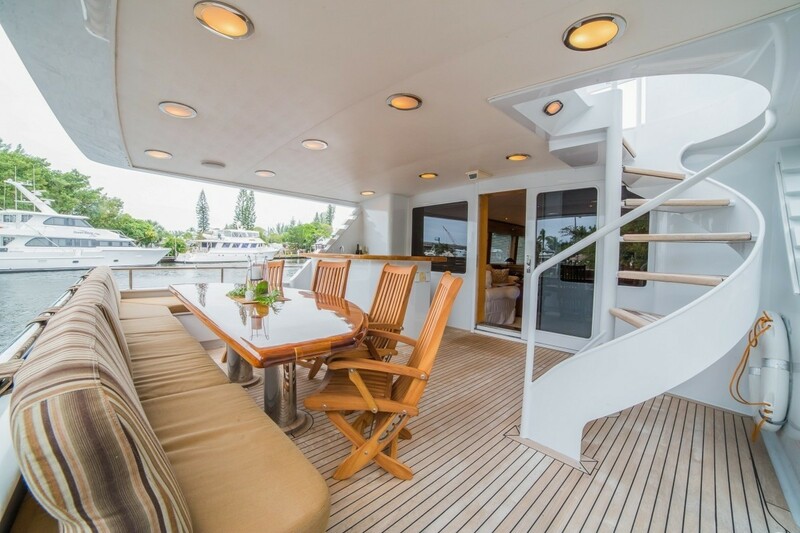 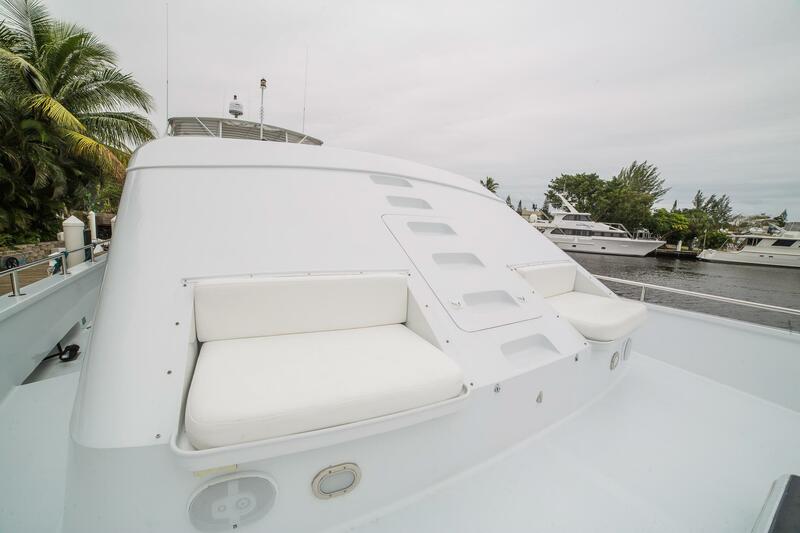 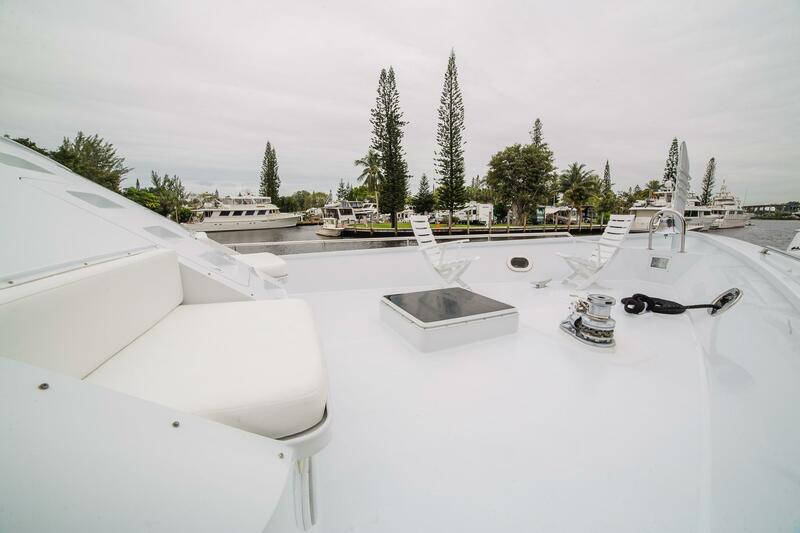 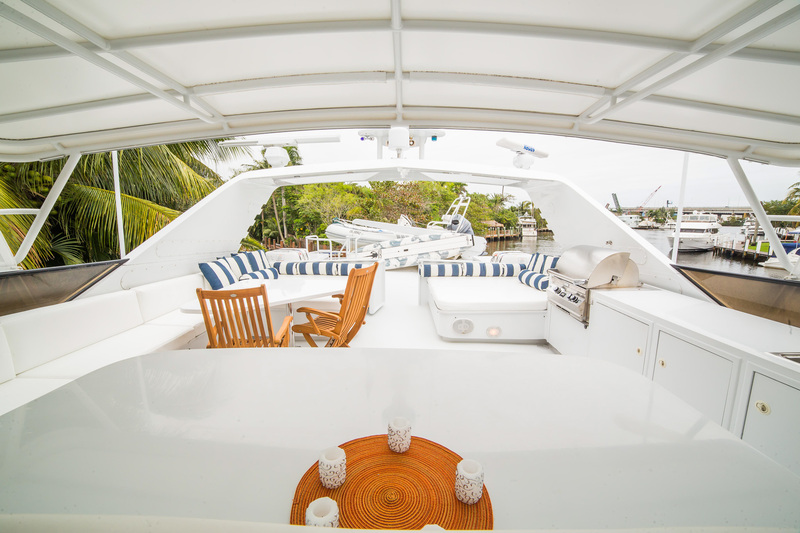 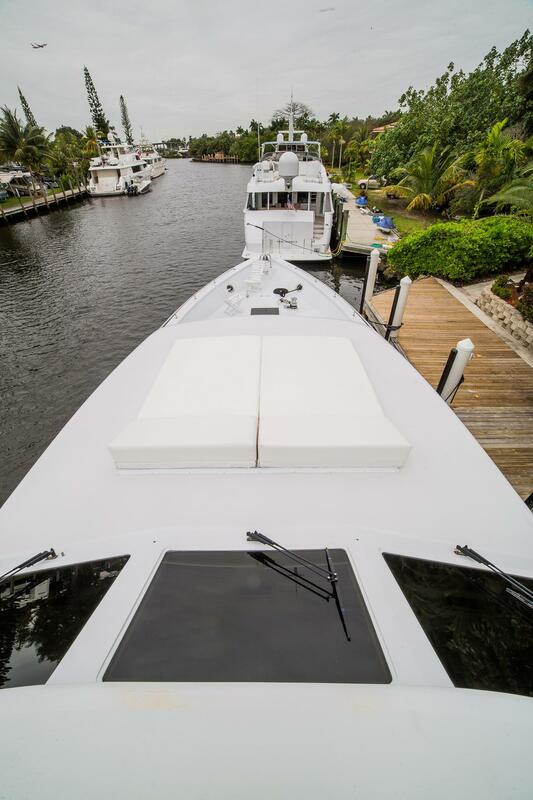 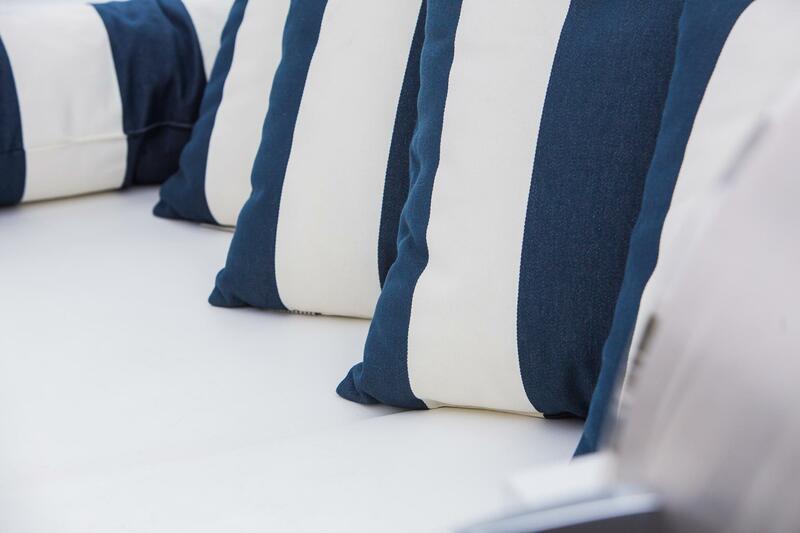 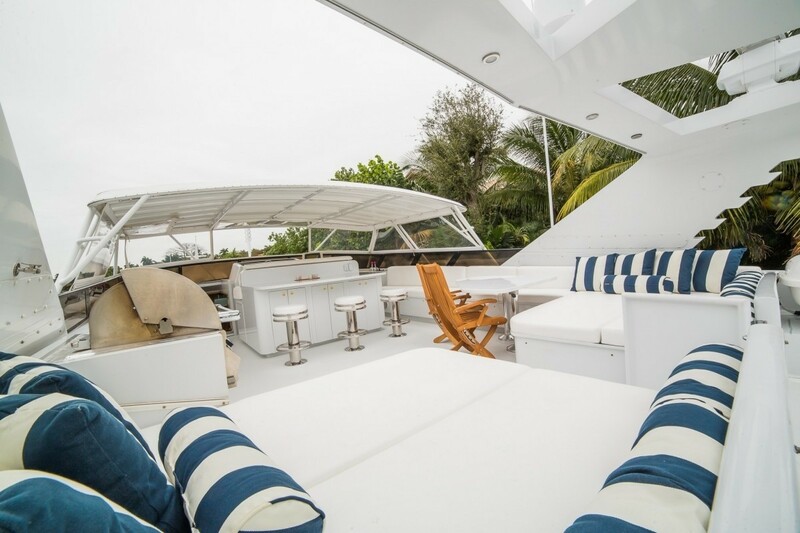 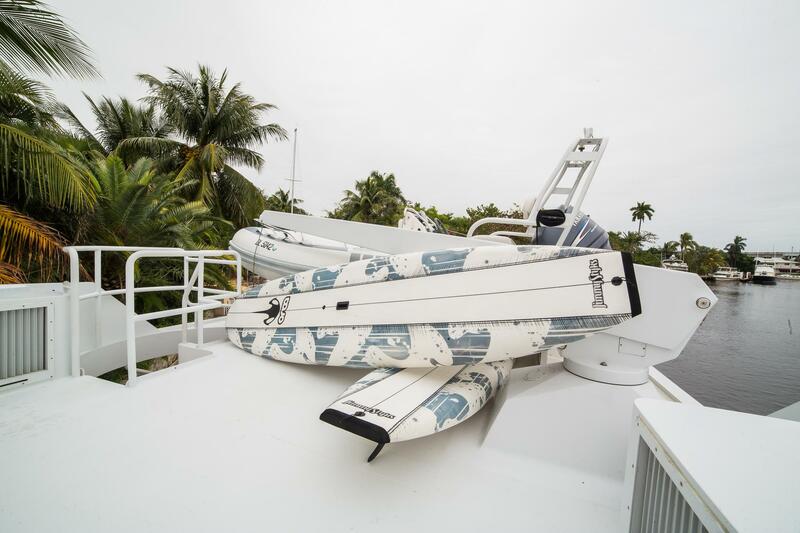 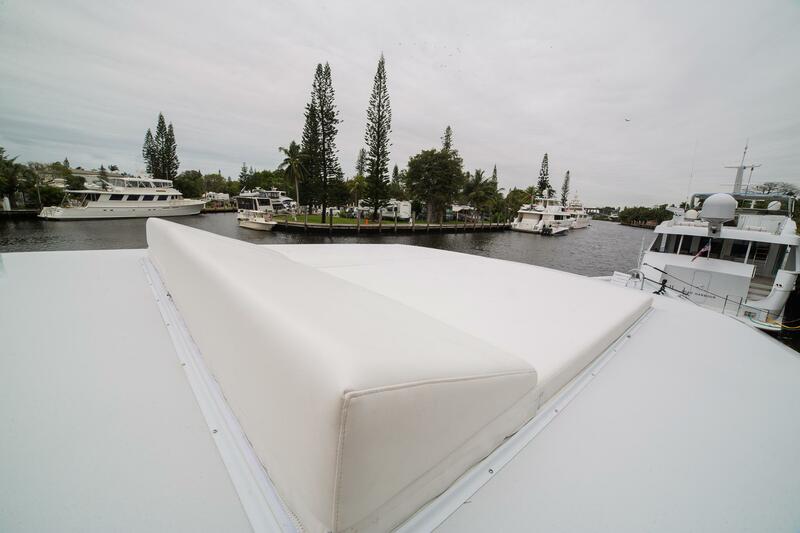 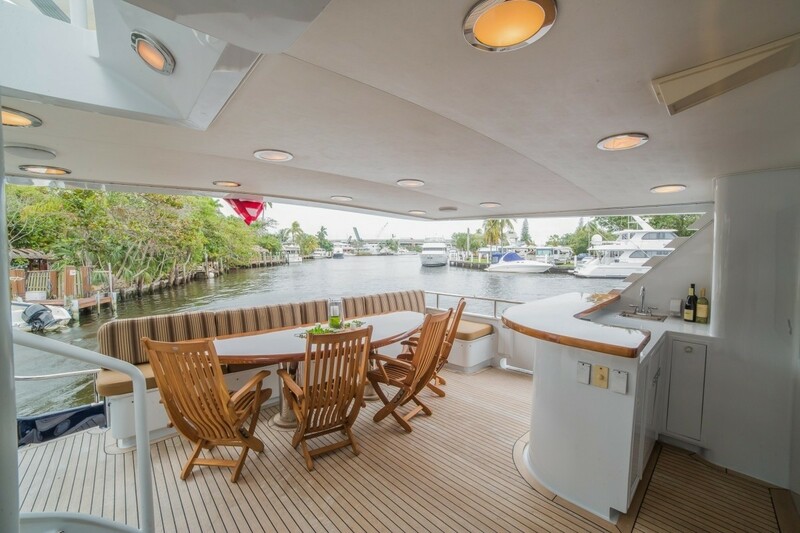 Above the main deck, the sun deck boasts a social atmosphere complete with ample outdoor seating, chaise lounge style sun pads a small more intimate alfresco dining option and a wet bar. 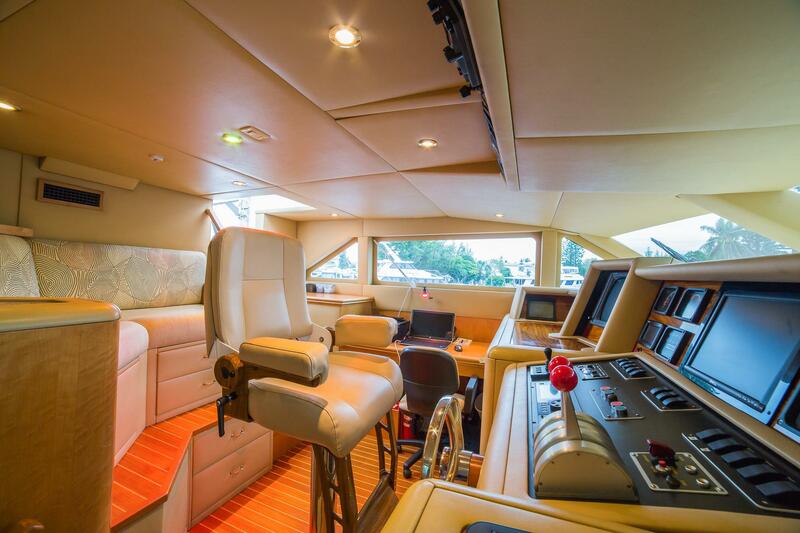 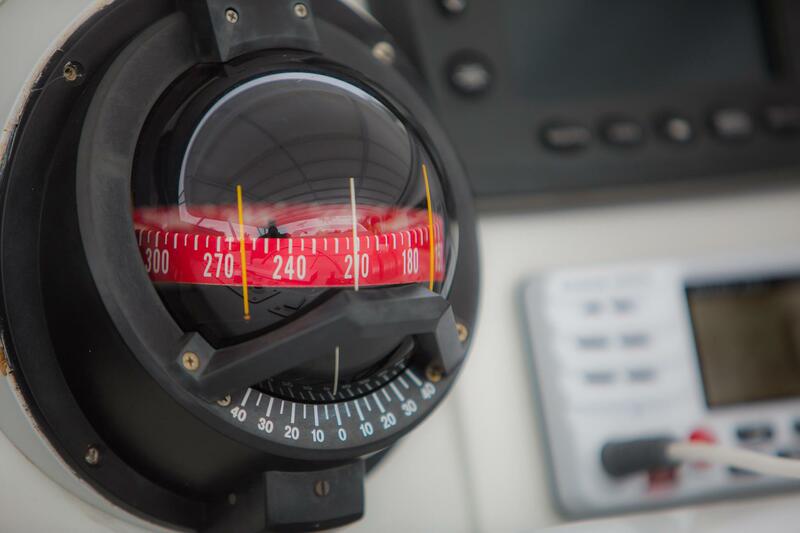 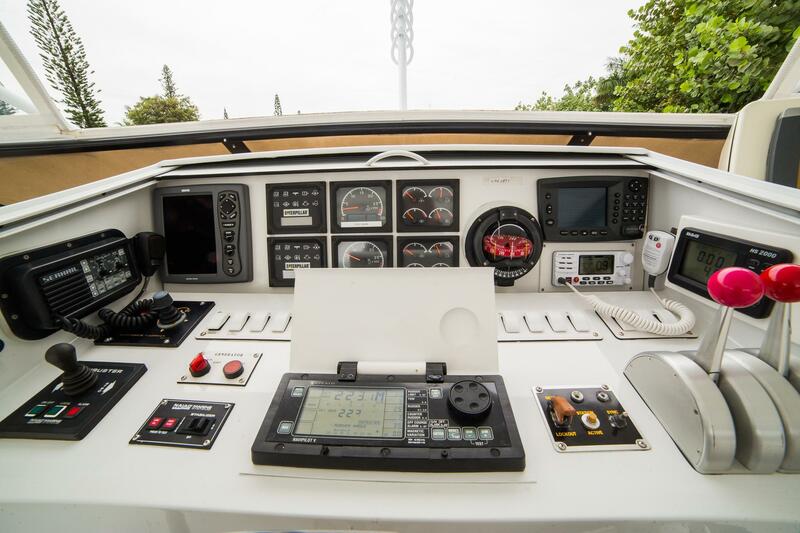 Luxury yacht LADY LEX has a beam of 6 meters (20ft) and draft of 1.7 meters (5.8ft), the yacht cruises at 15 knots with maximum speeds of 17 knots. 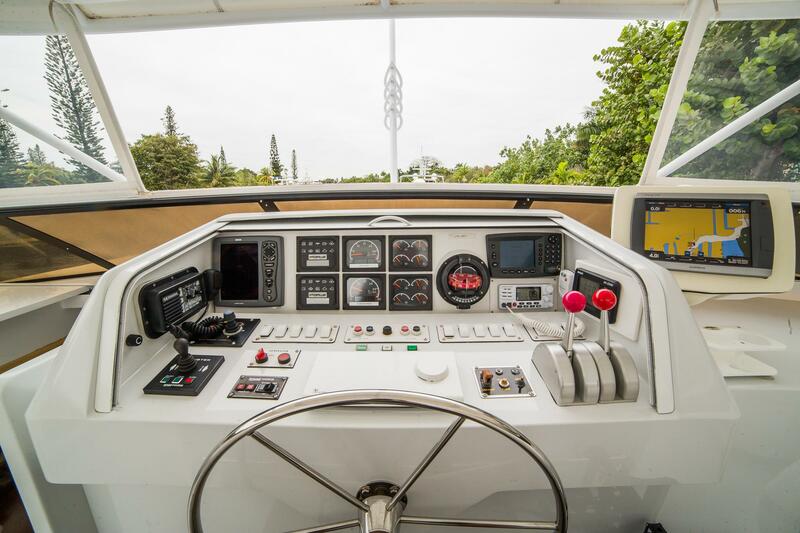 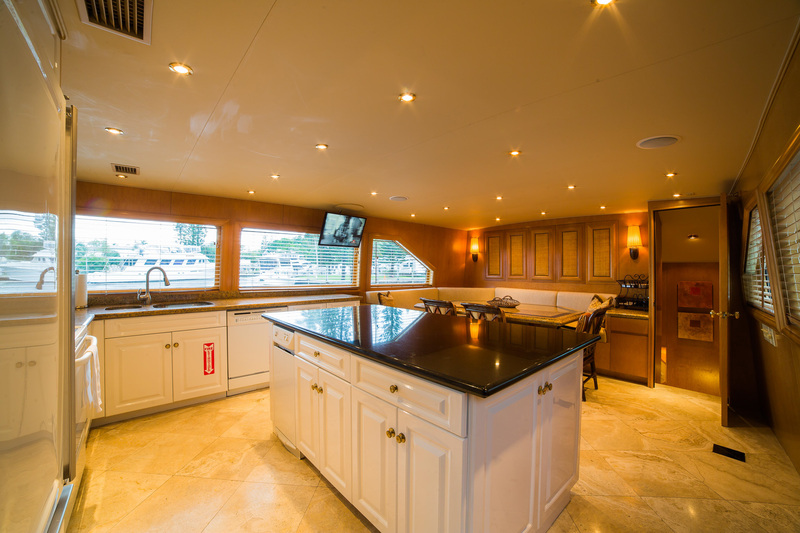 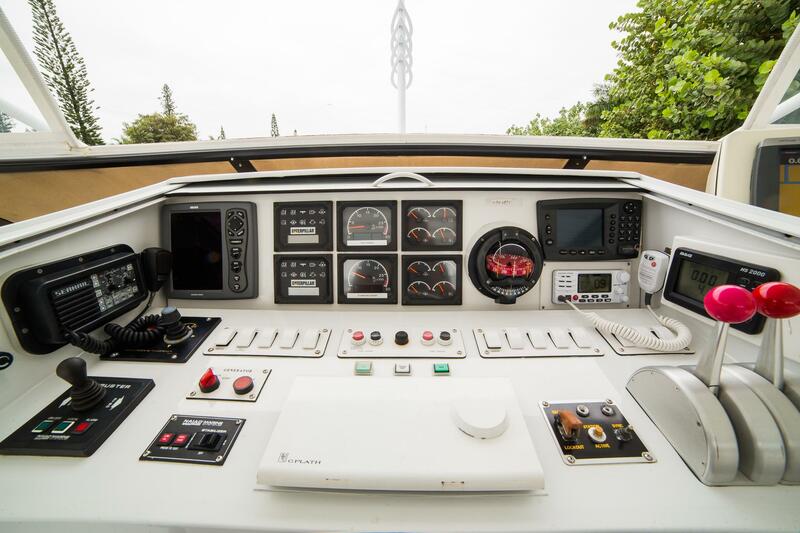 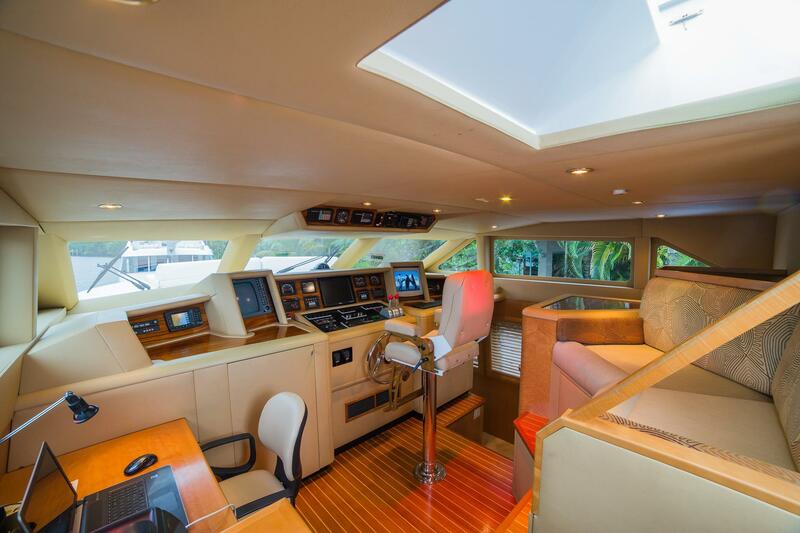 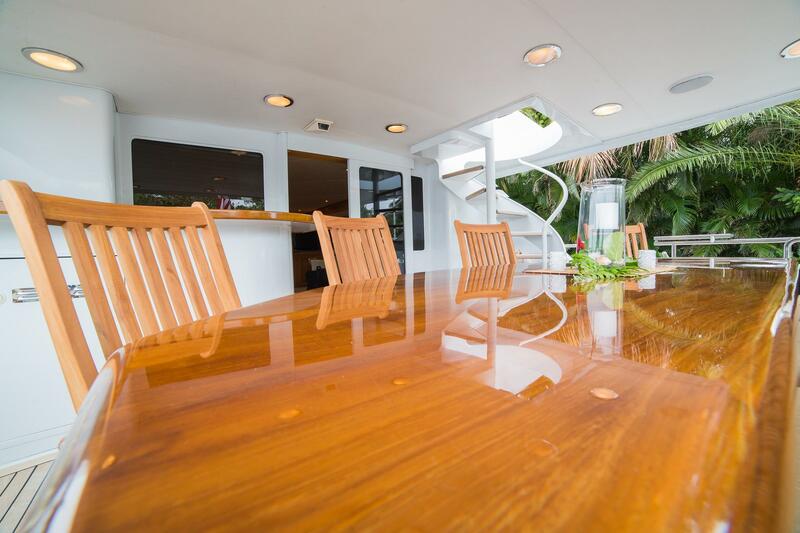 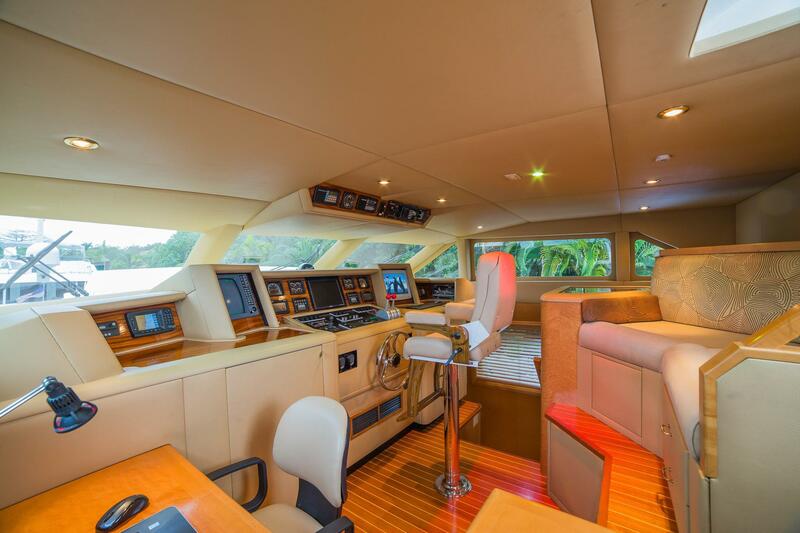 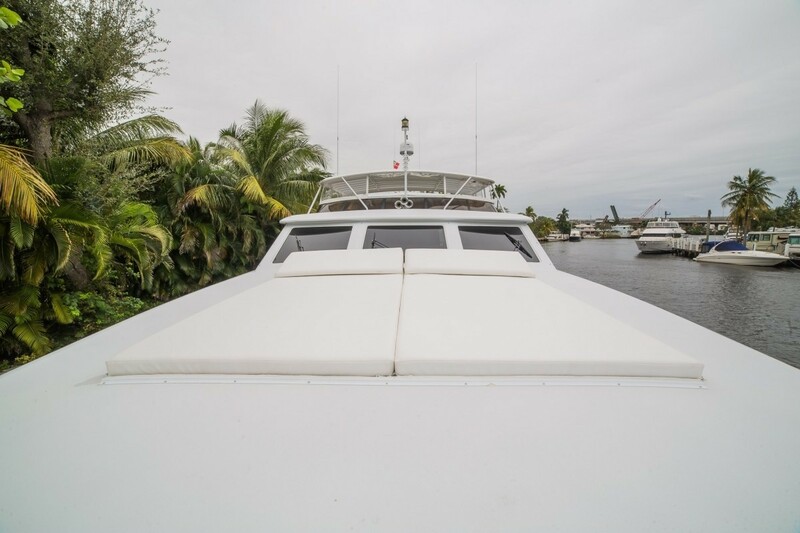 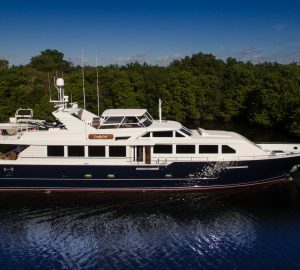 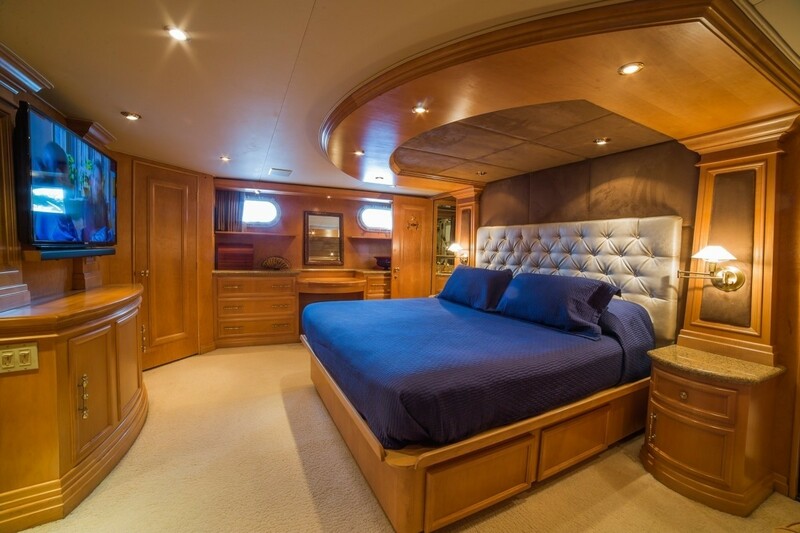 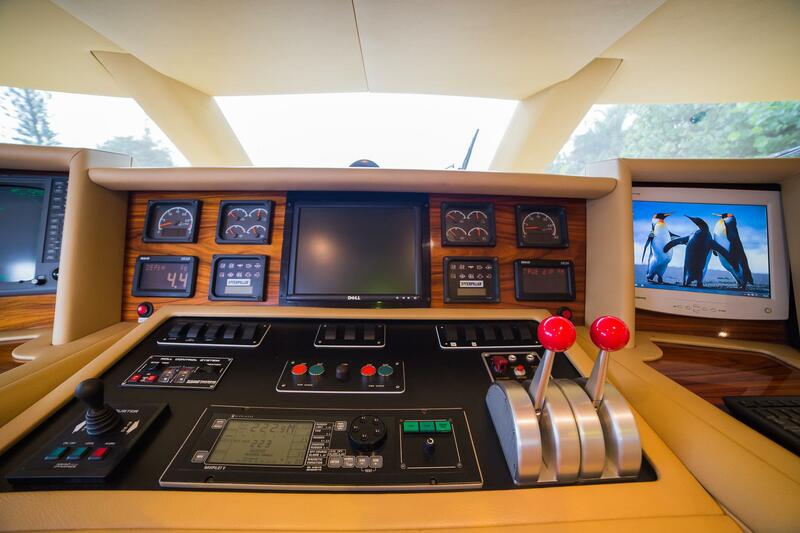 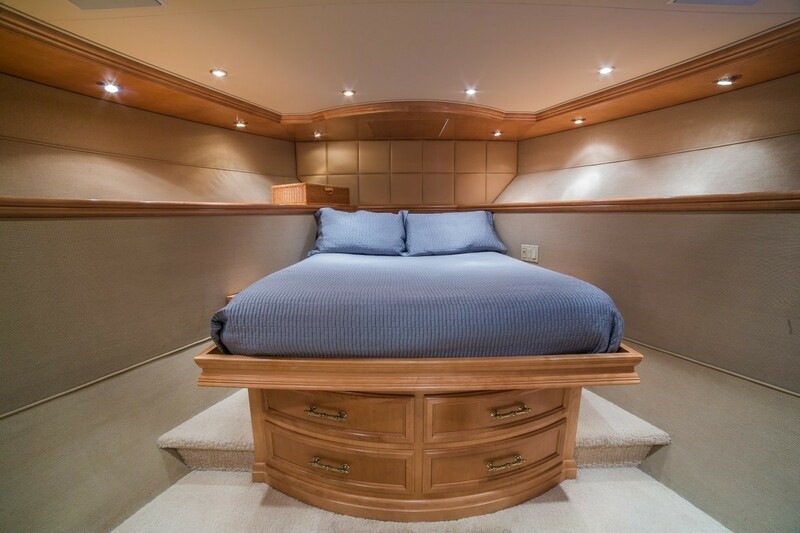 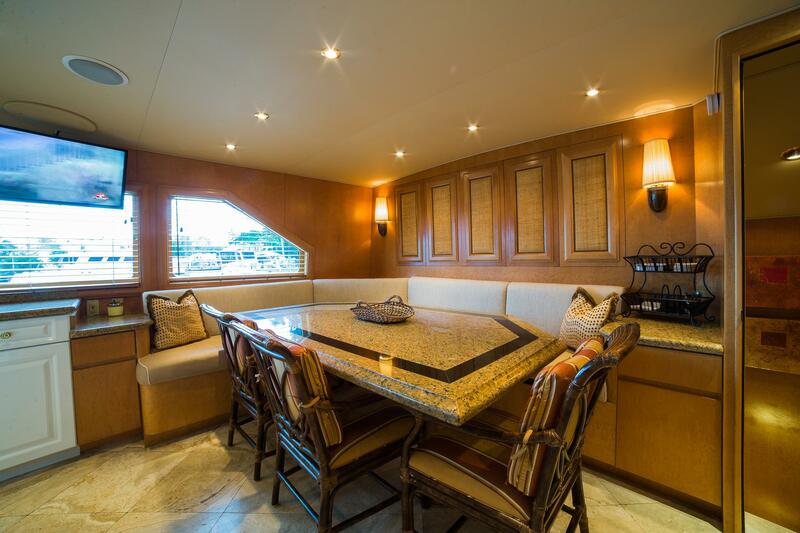 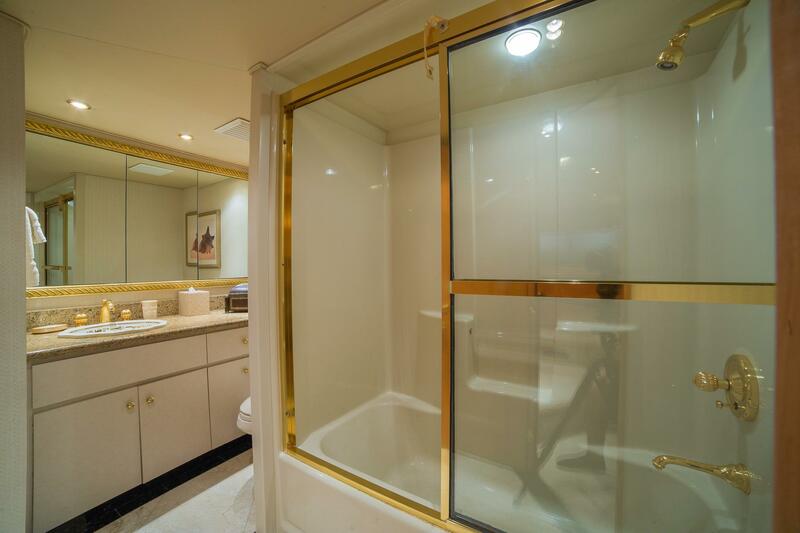 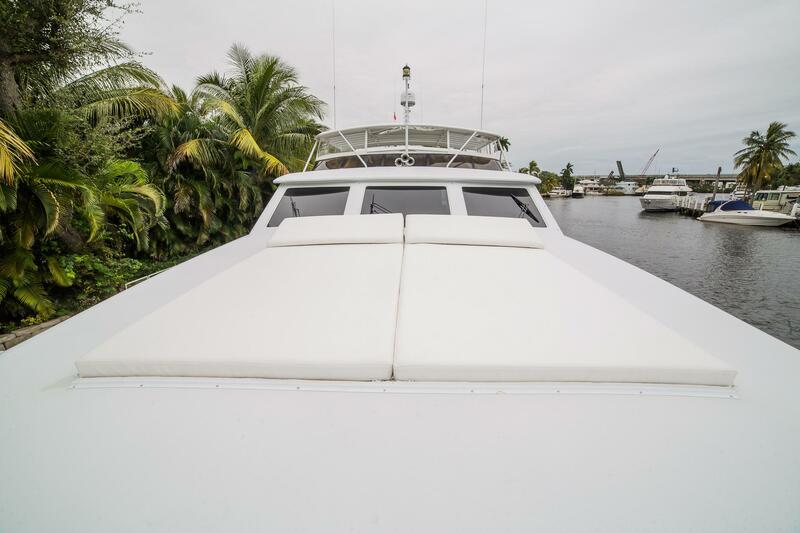 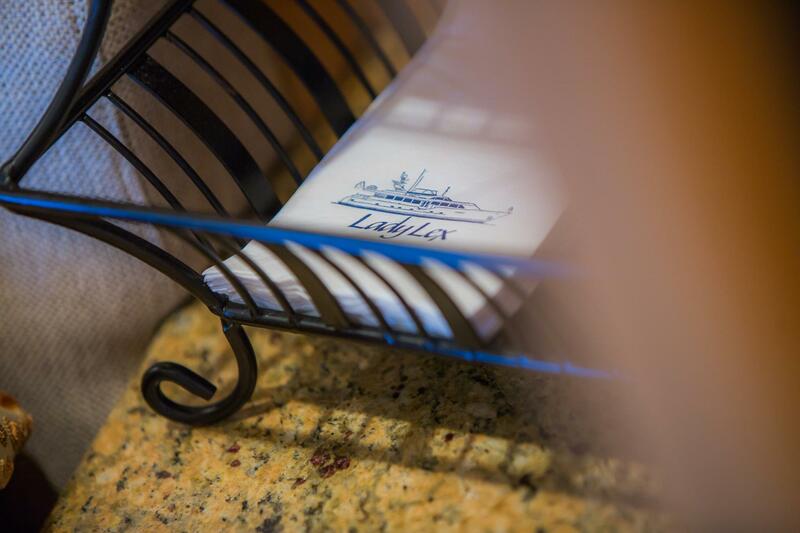 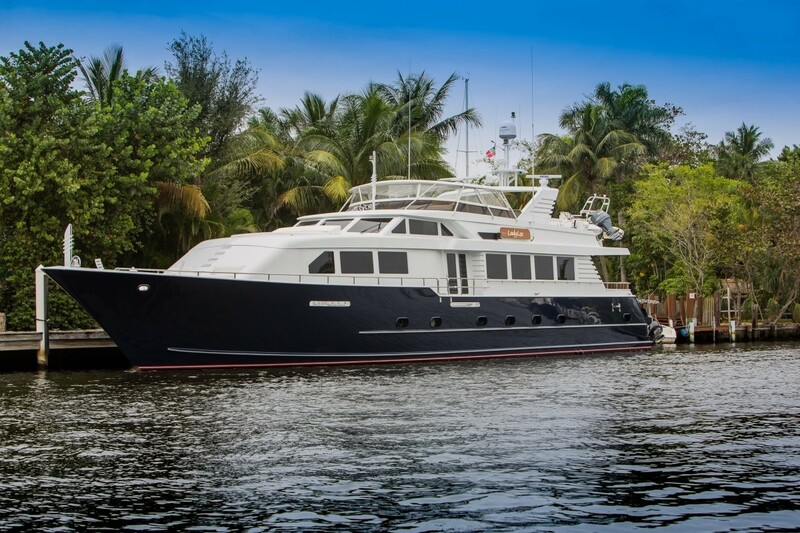 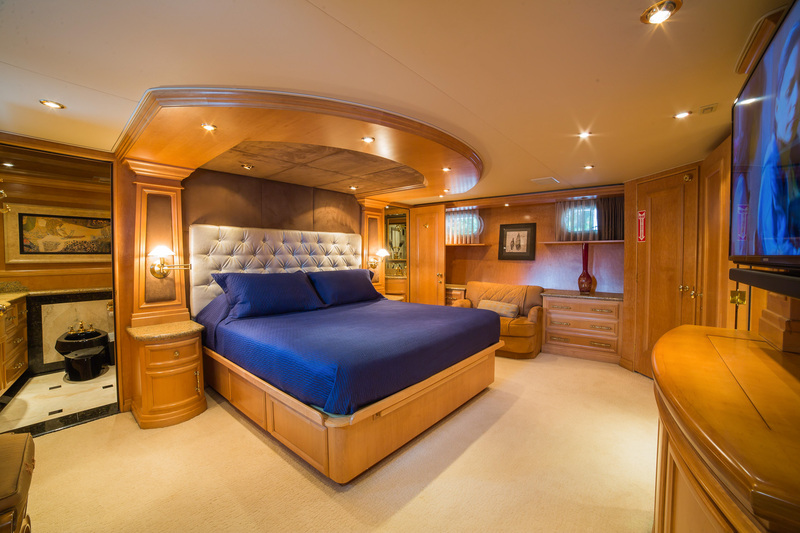 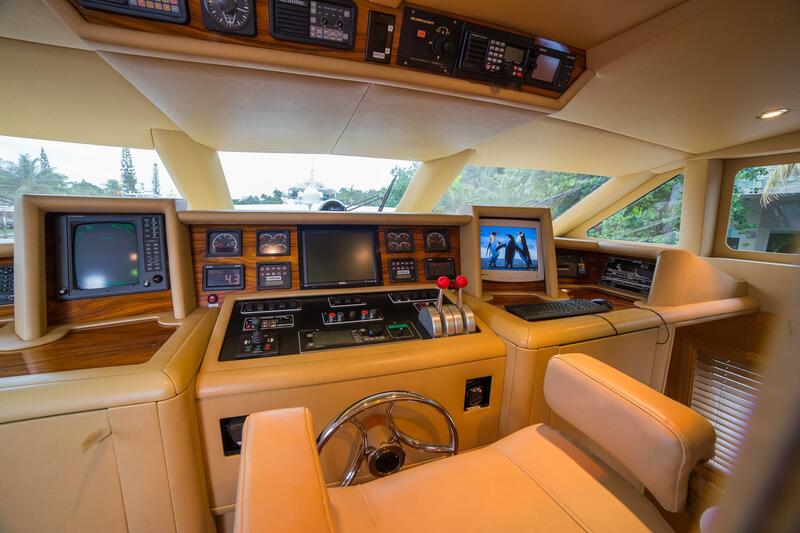 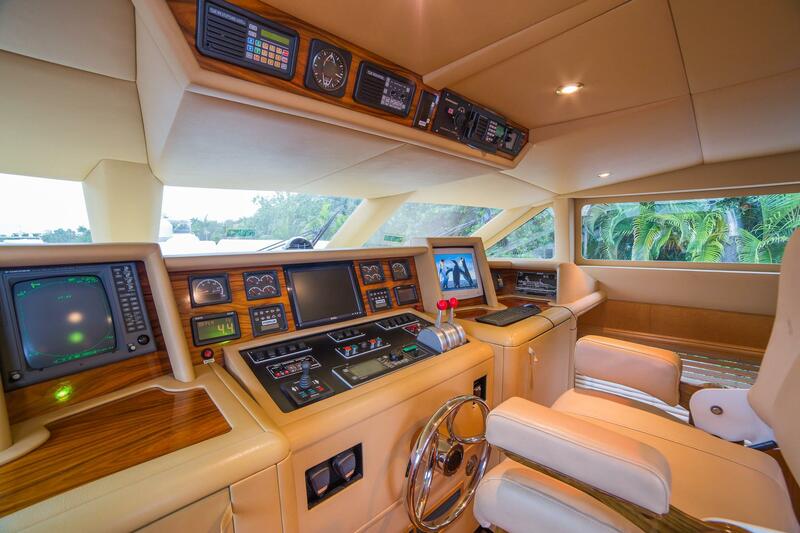 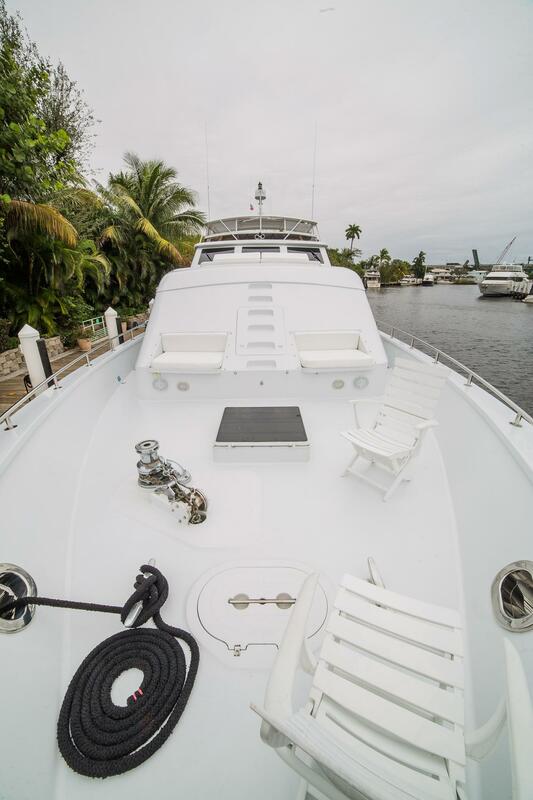 Motor yacht LADY LEX accommodates 8 guests in 4 roomy cabins, the master cabin is full beam of the yacht and features a king size bed, TV, vanity, love seat and large his and hers facilities with custom shower. 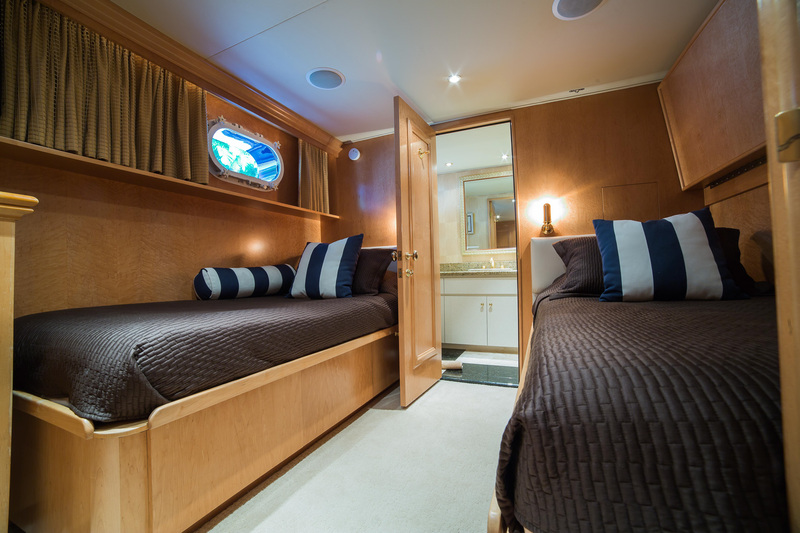 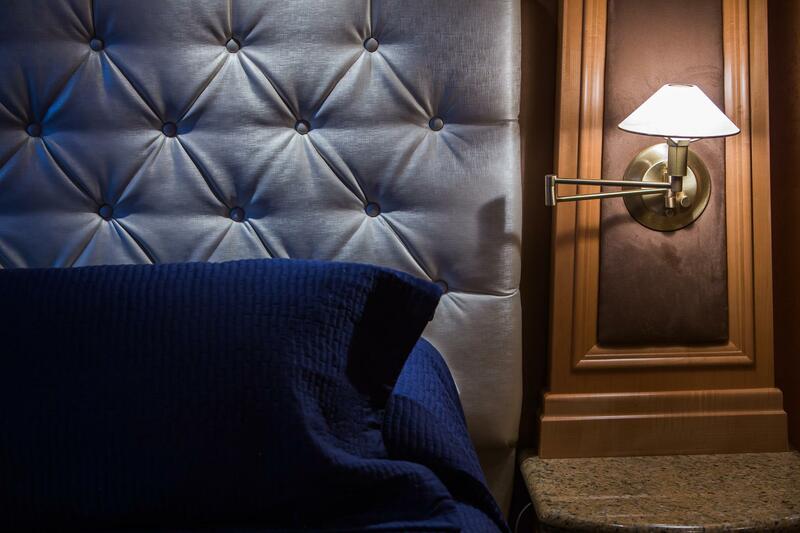 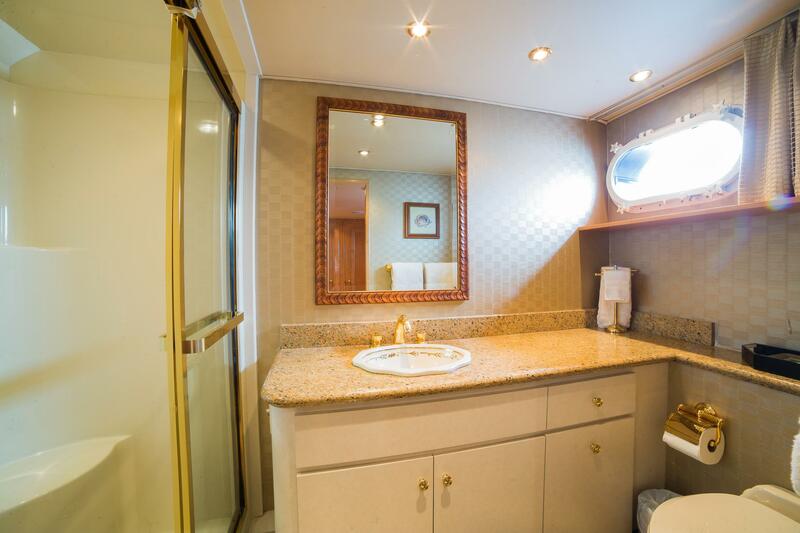 The VIP cabin is full beam and forward and offers a queen size bed, vanity, TV and en-suite facilities with shower. 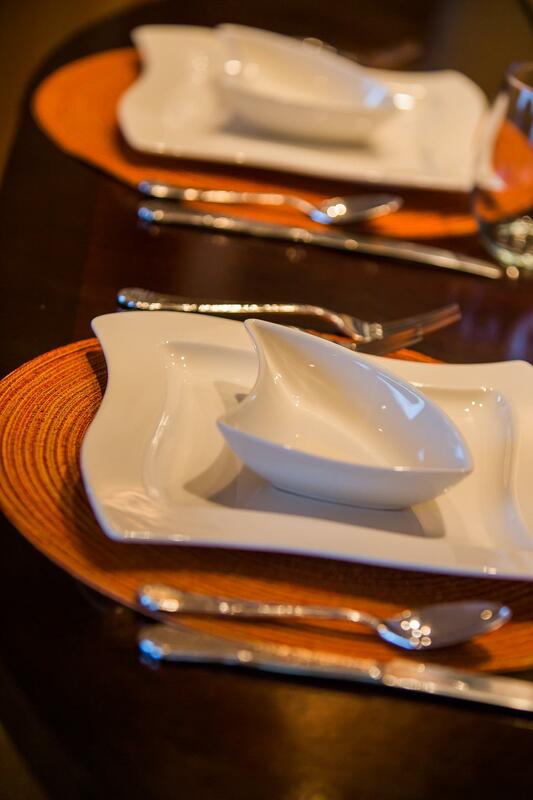 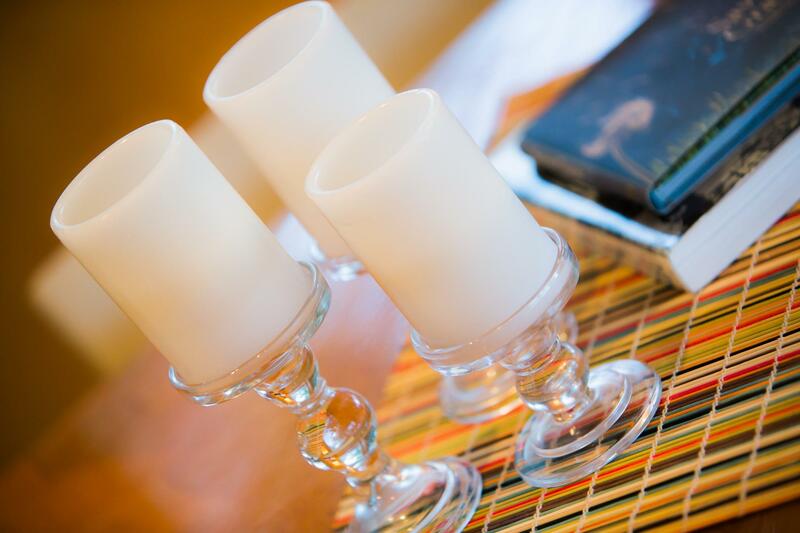 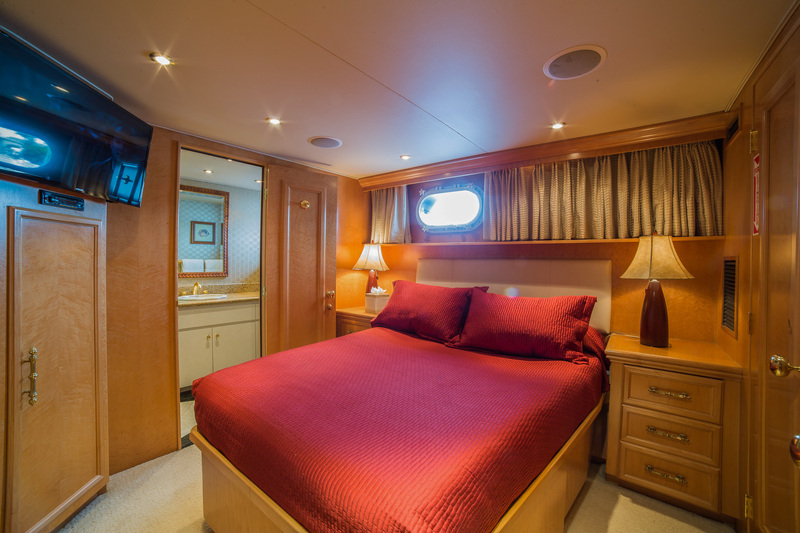 A further queen size cabin and twin cabin also offer TV and en-suite facilities. 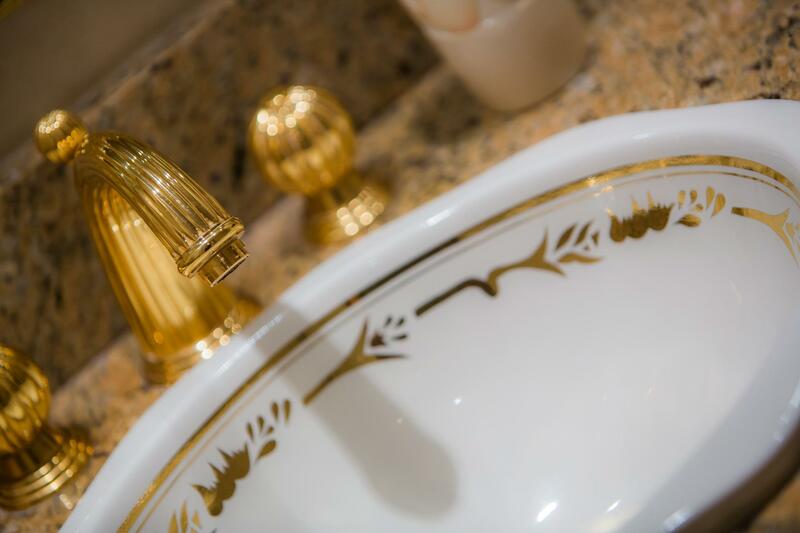 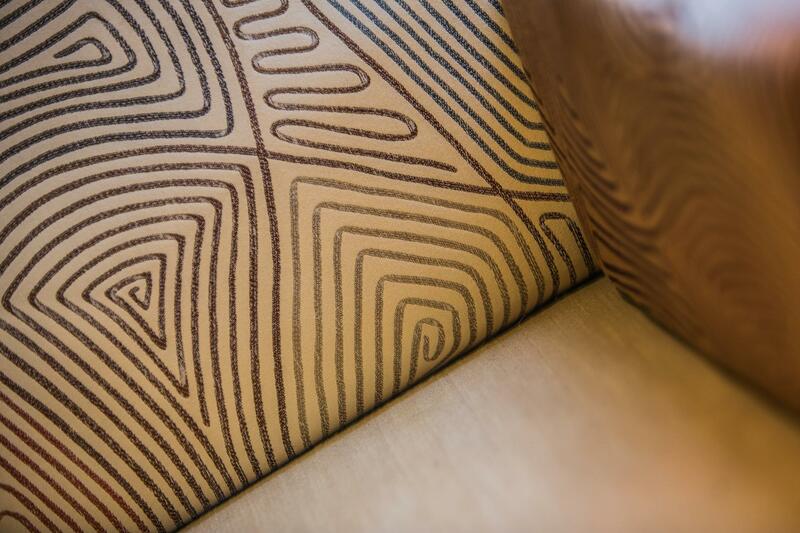 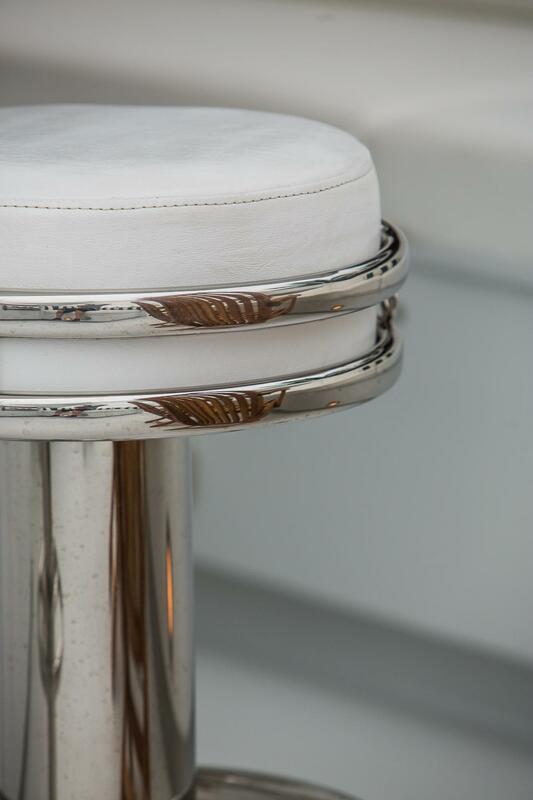 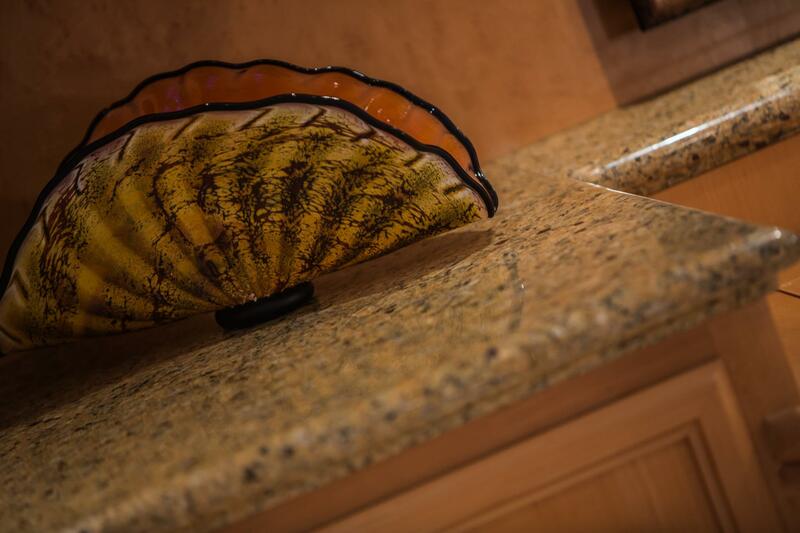 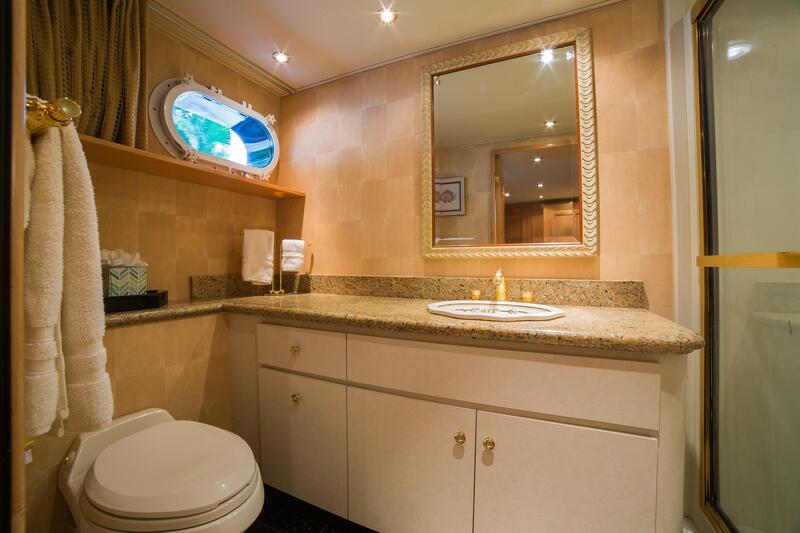 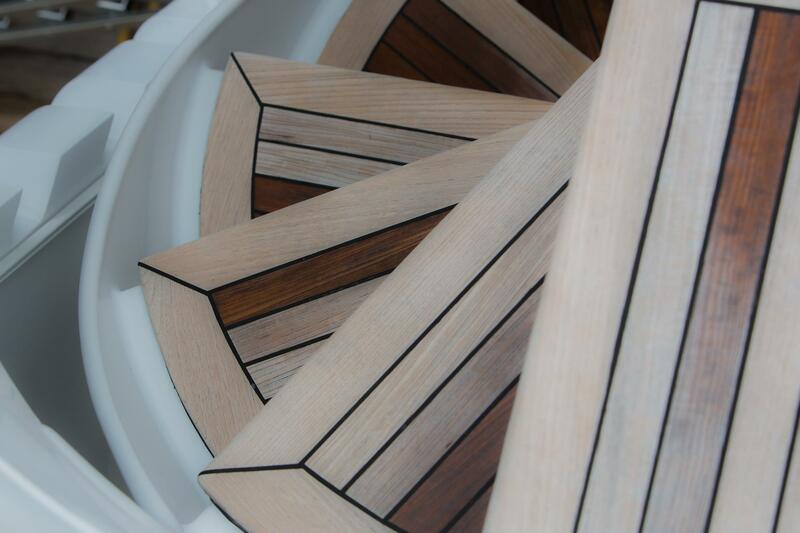 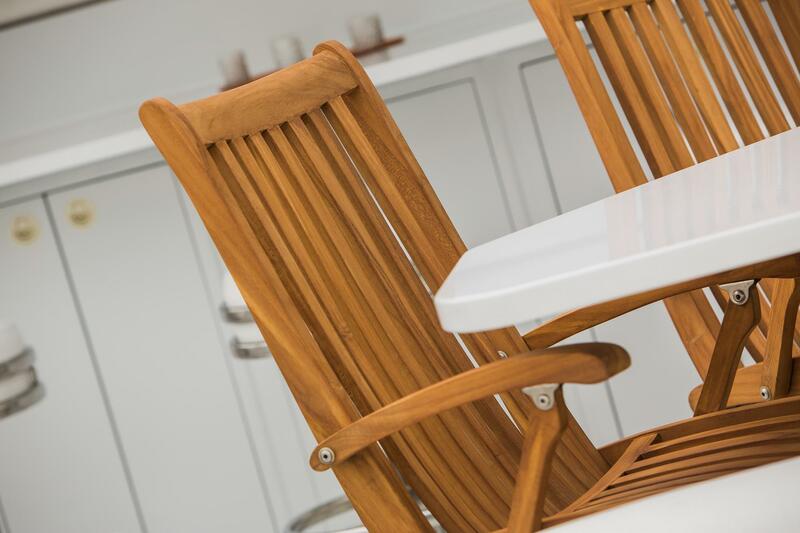 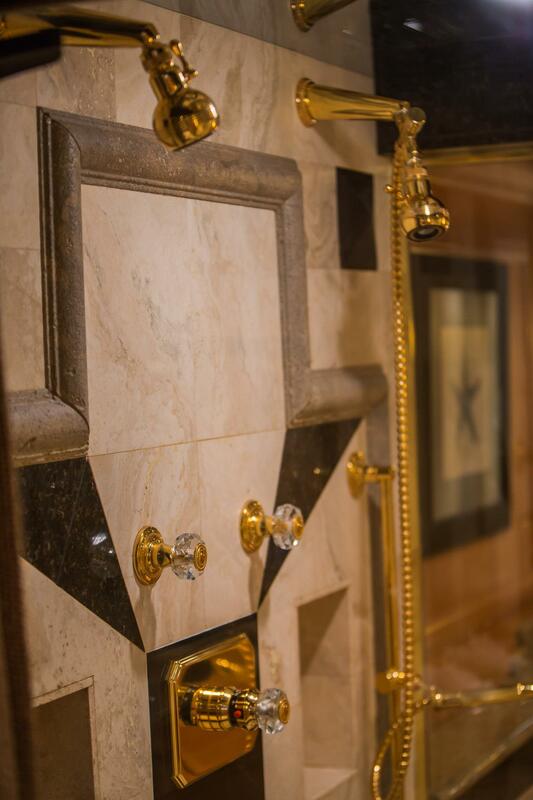 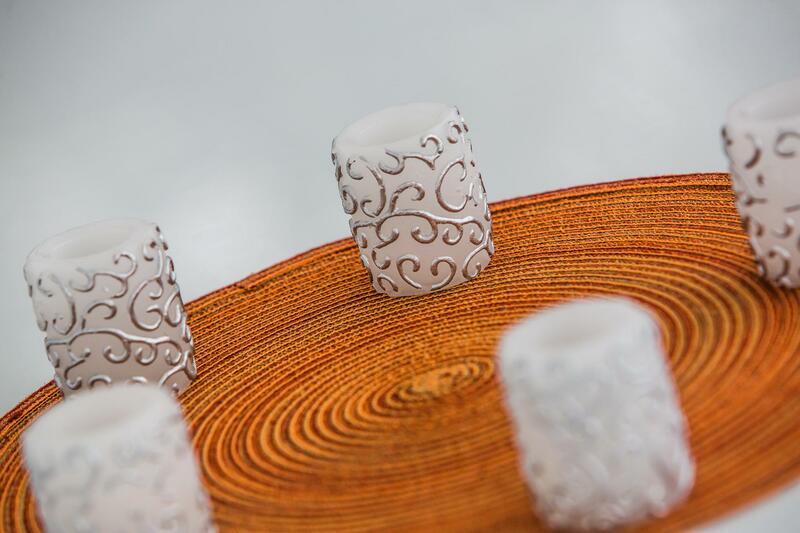 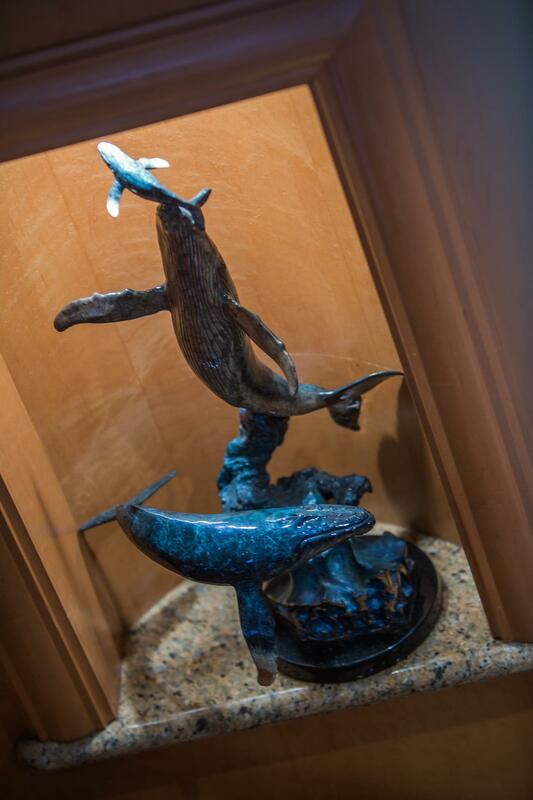 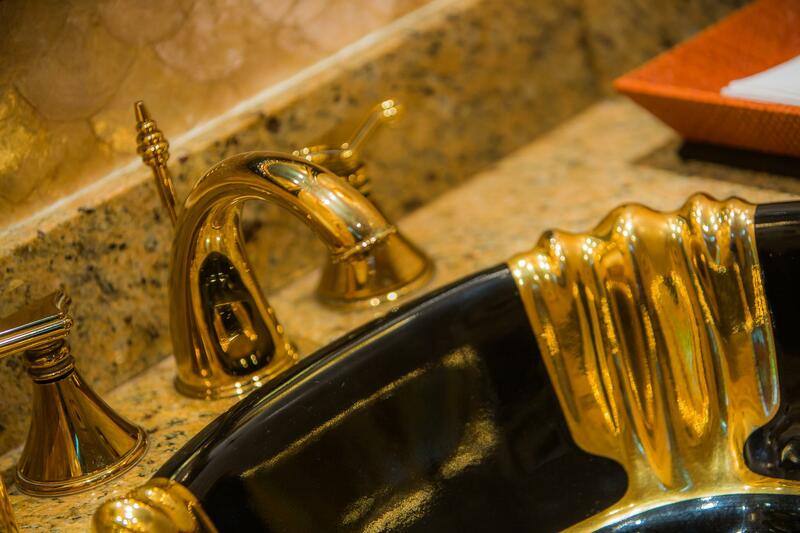 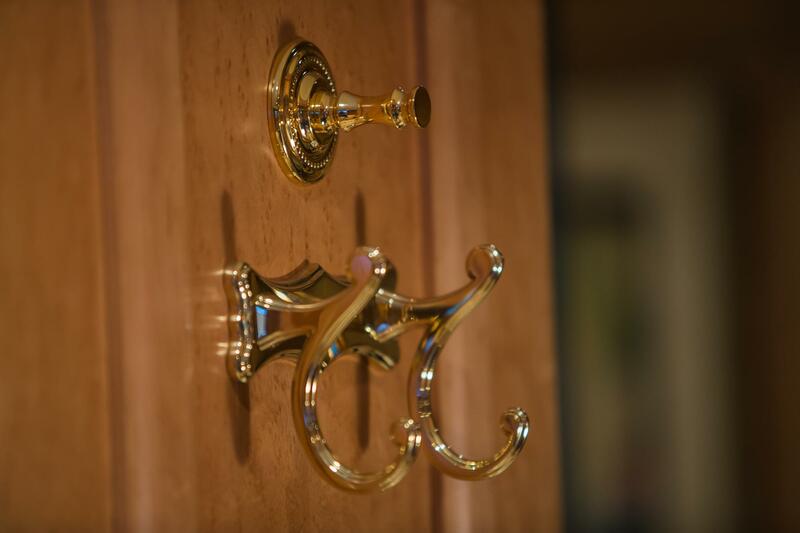 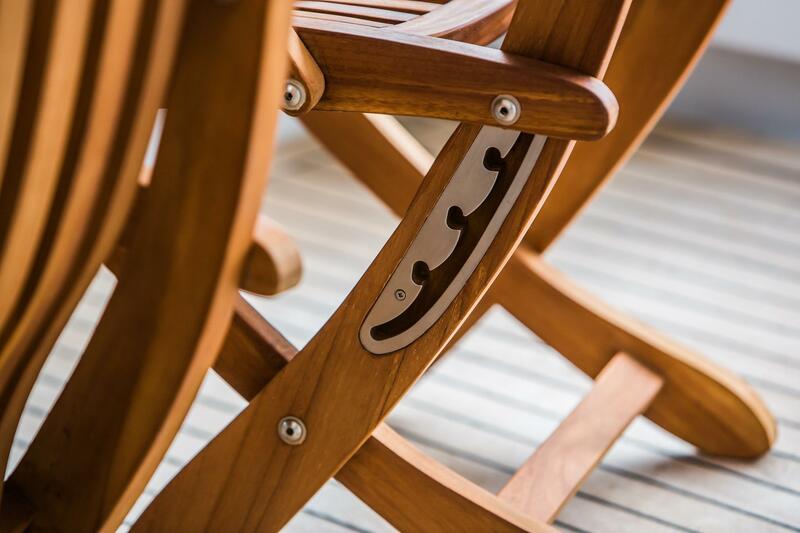 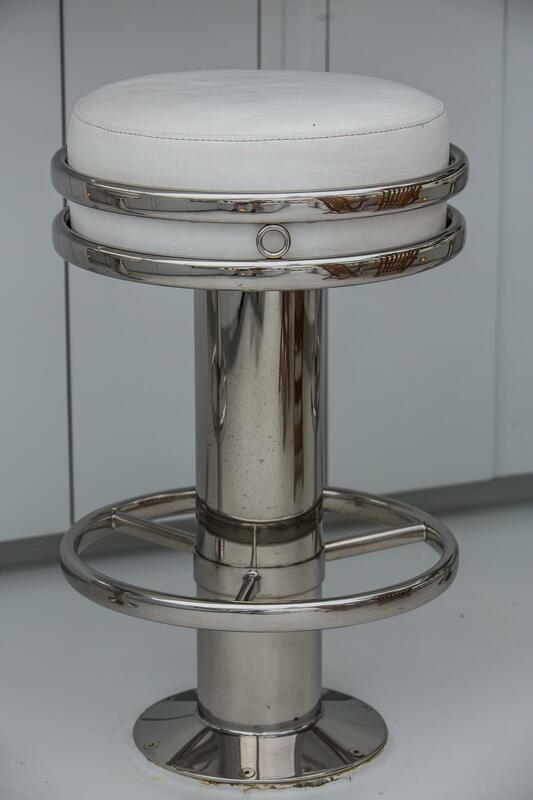 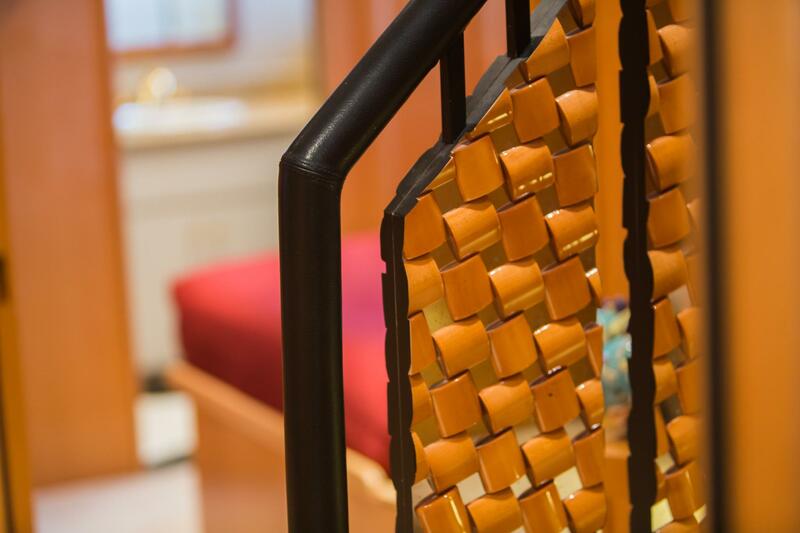 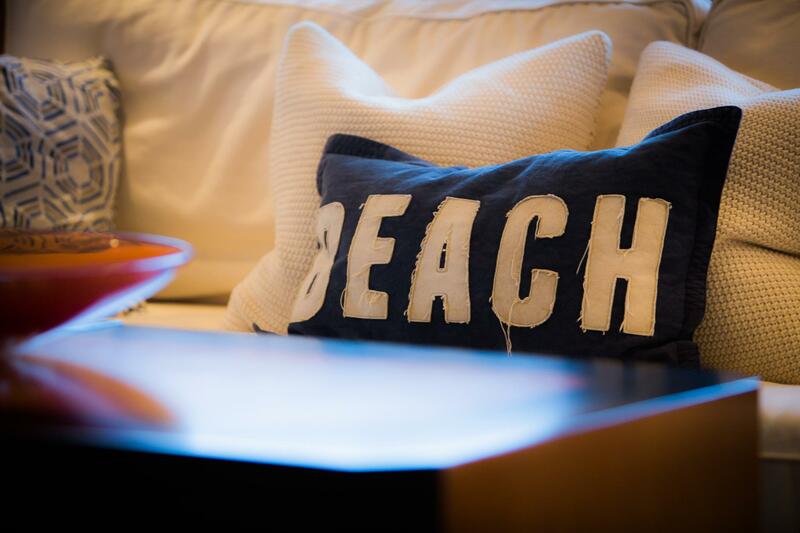 All cabins boast high quality maple finishes, inviting neutral soft furnishings and marble in the en-suite bathrooms.